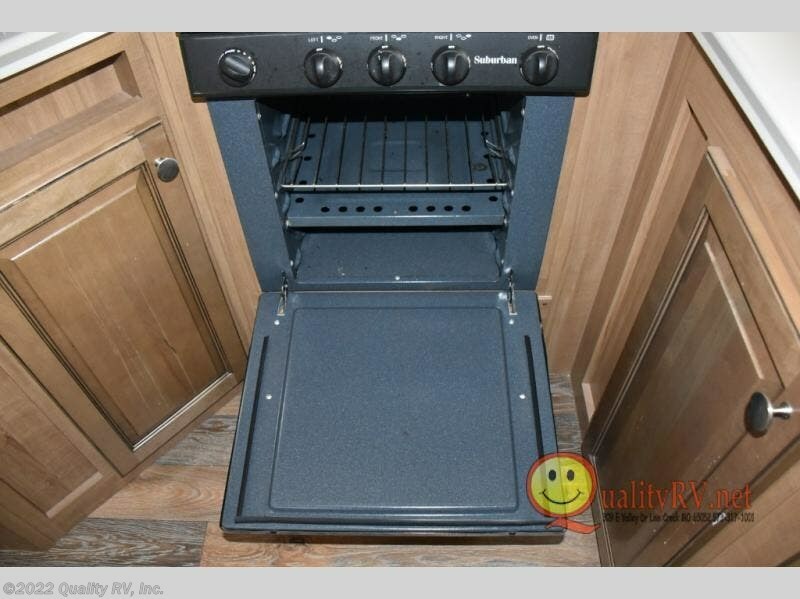 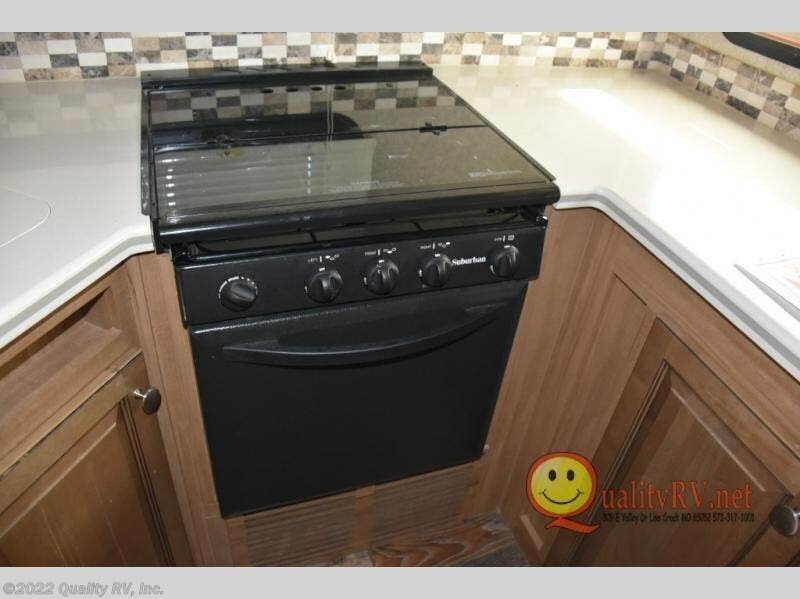 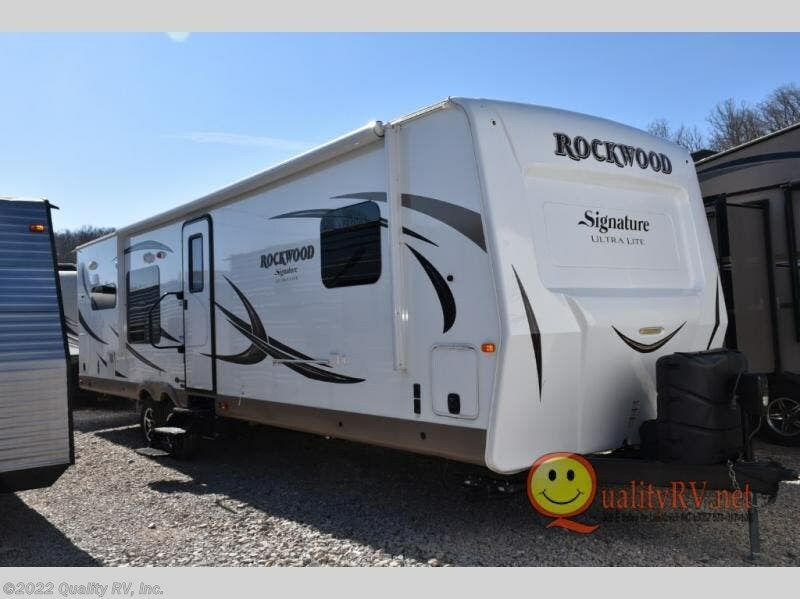 This Rockwood Signature Ultra Lite 8310SS by Forest River makes it easy to fix meals in the rear kitchen while entertaining guests at the same time. 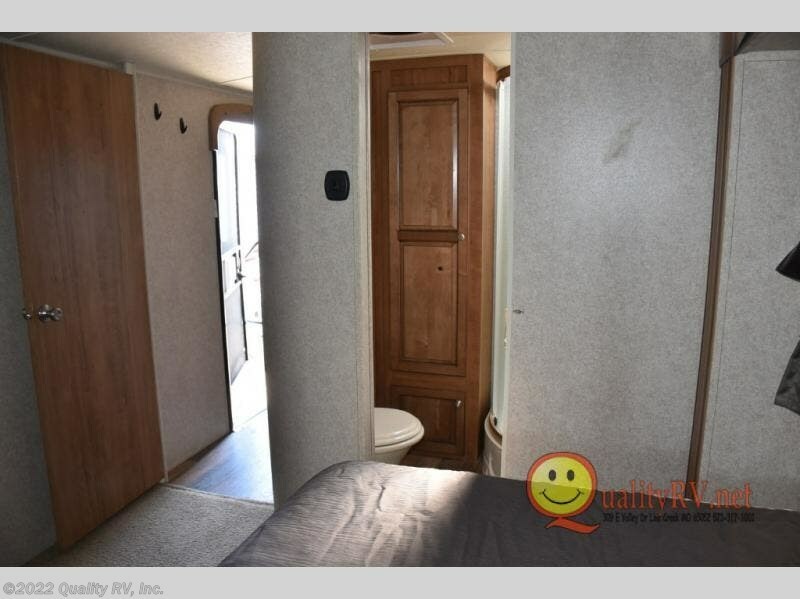 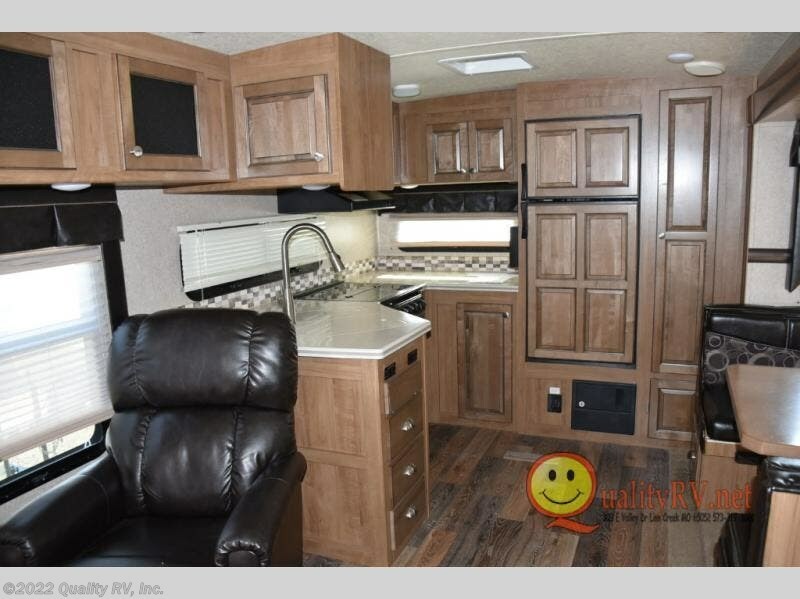 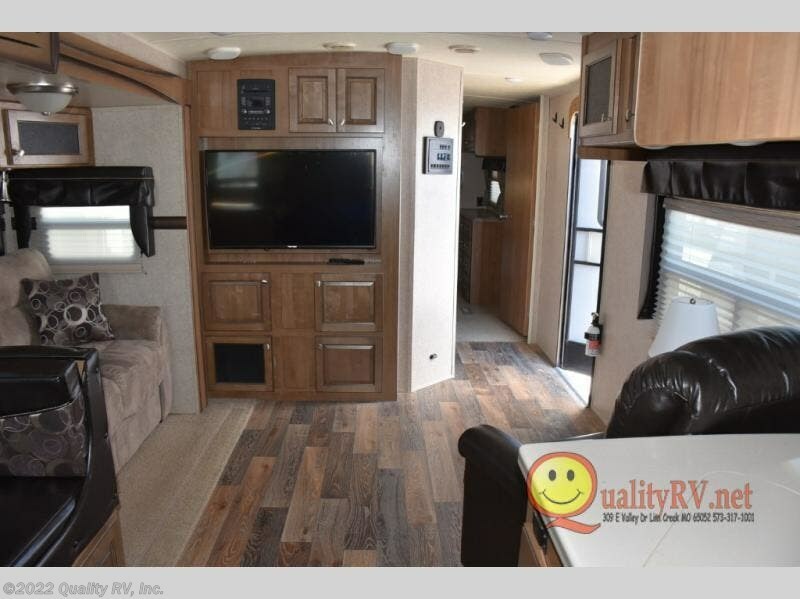 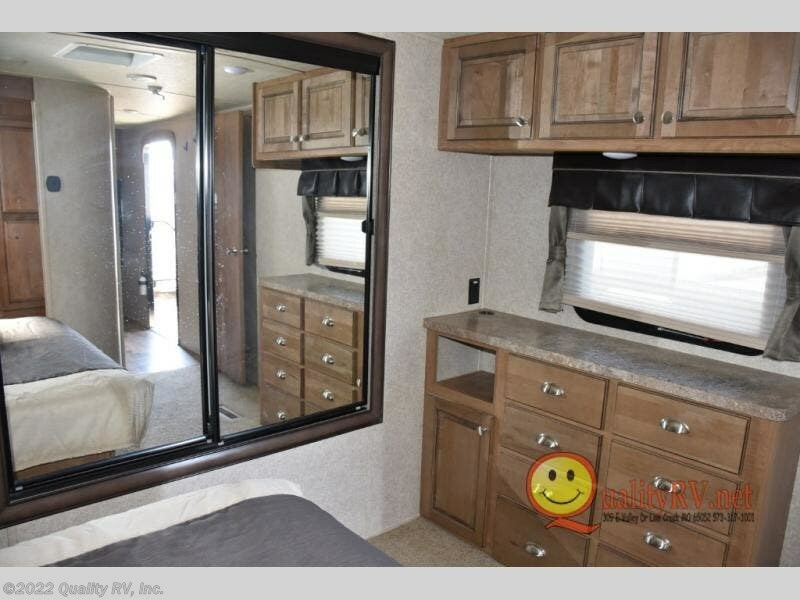 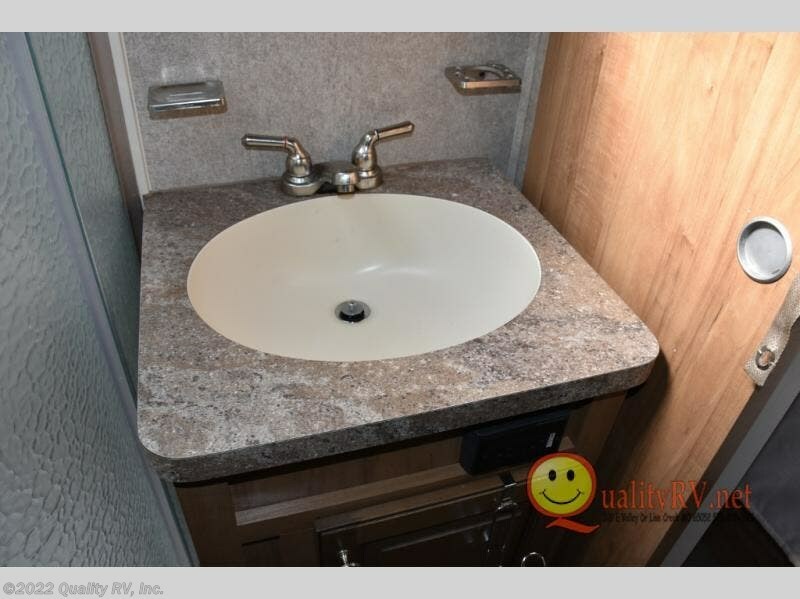 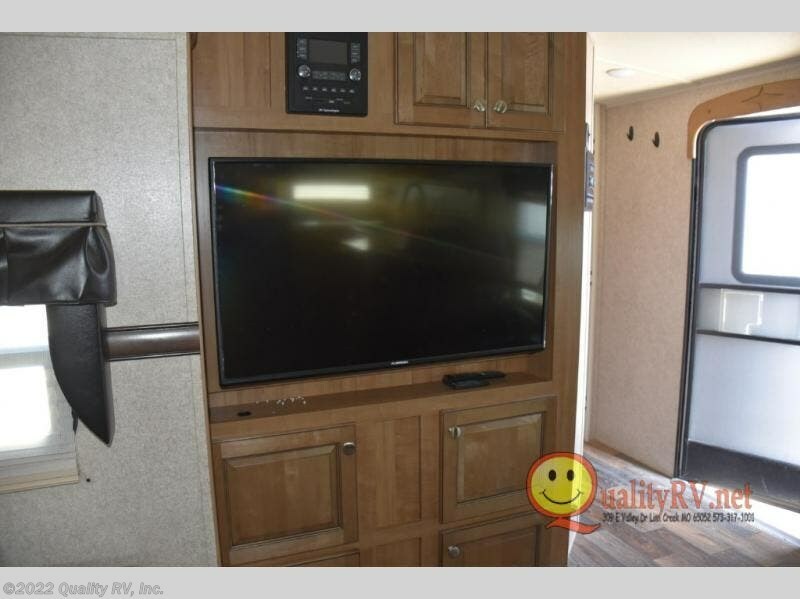 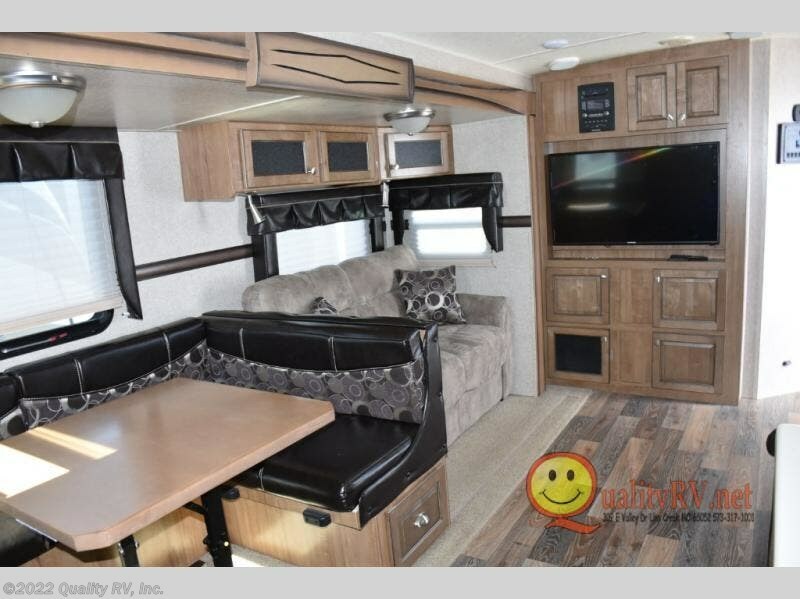 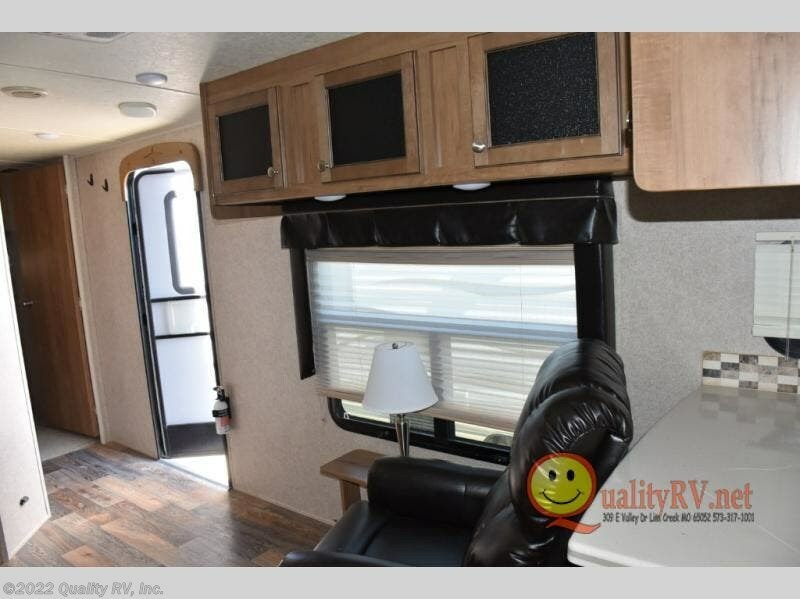 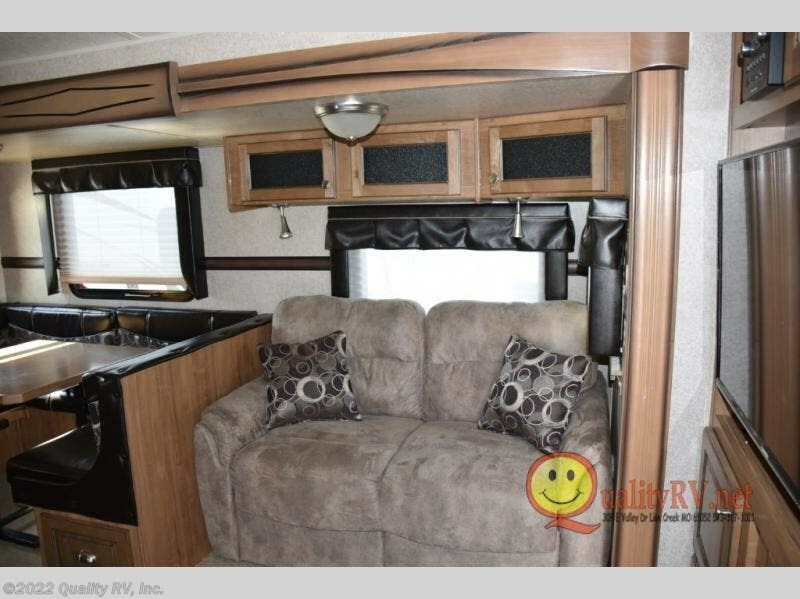 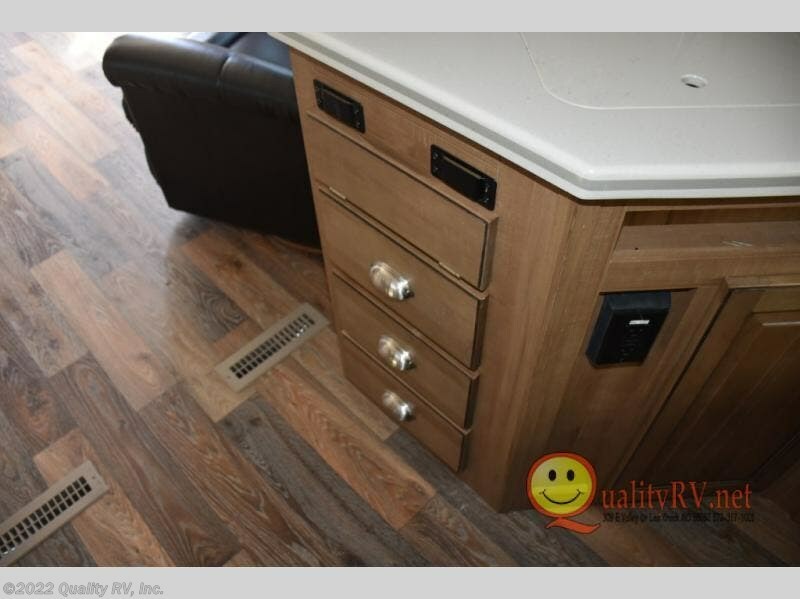 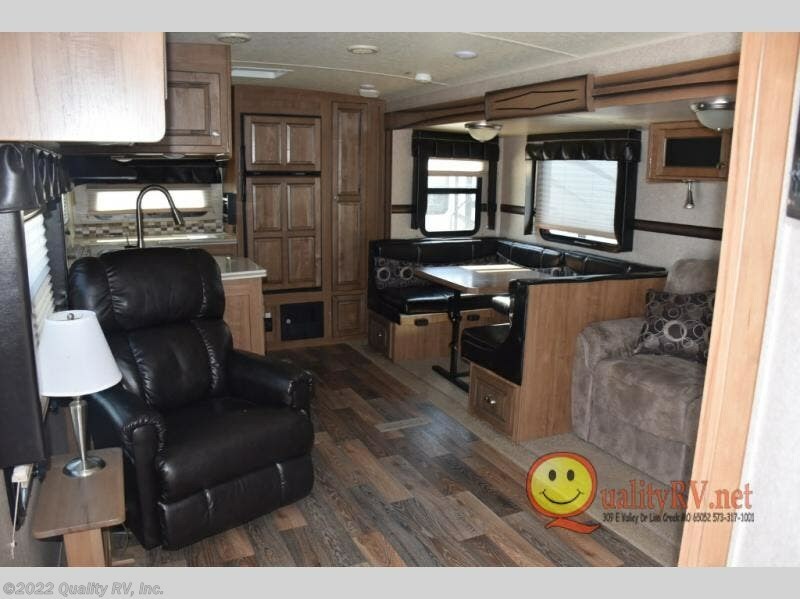 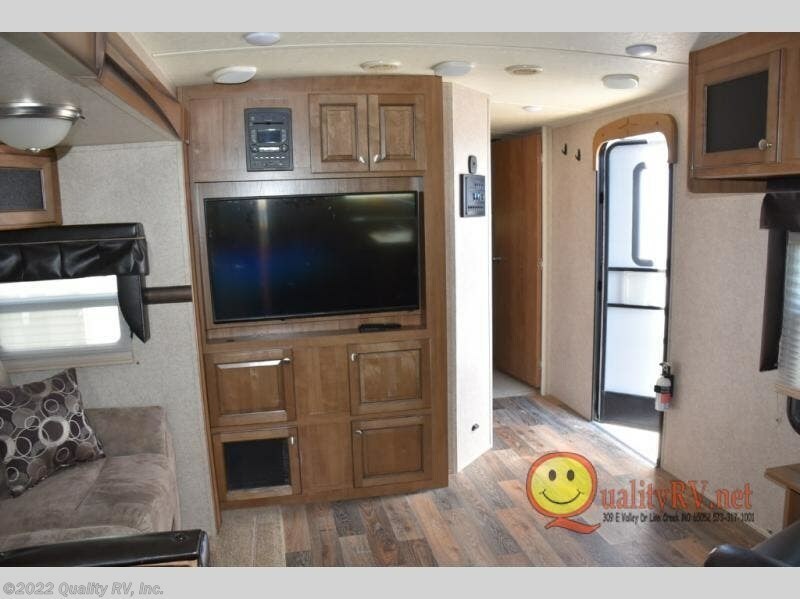 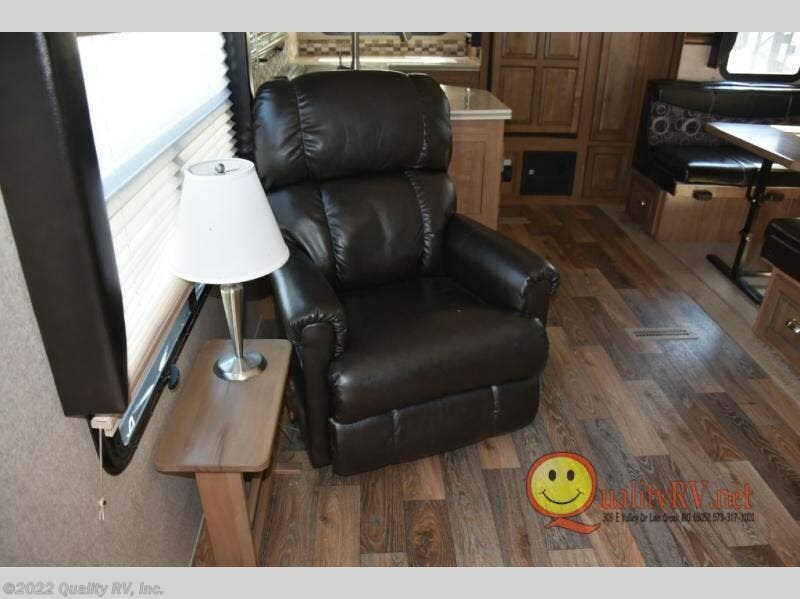 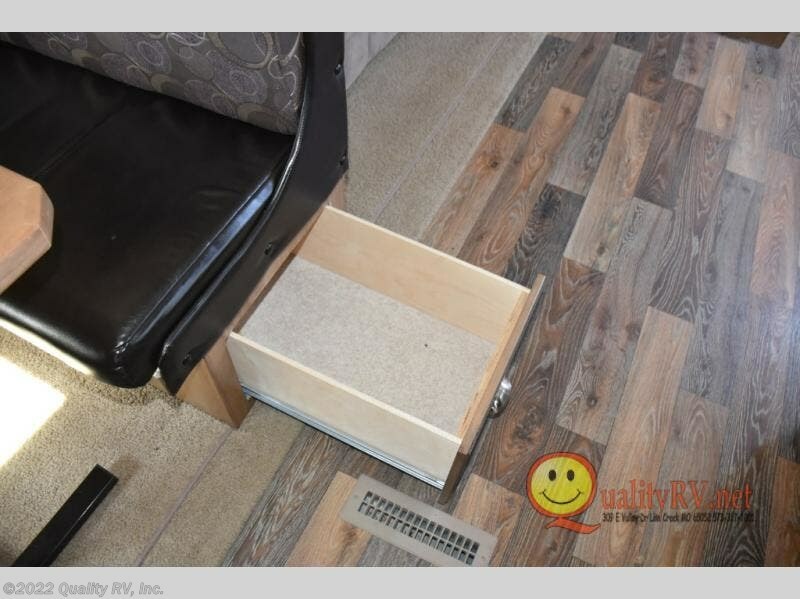 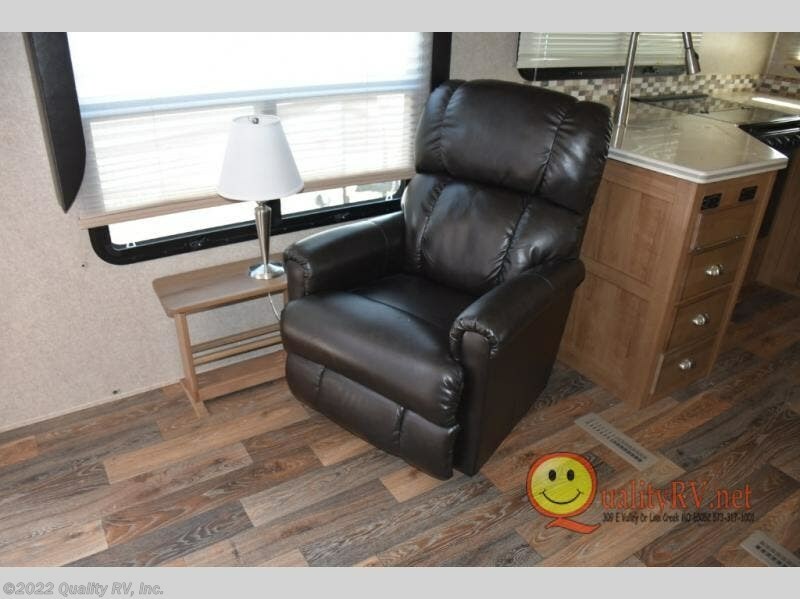 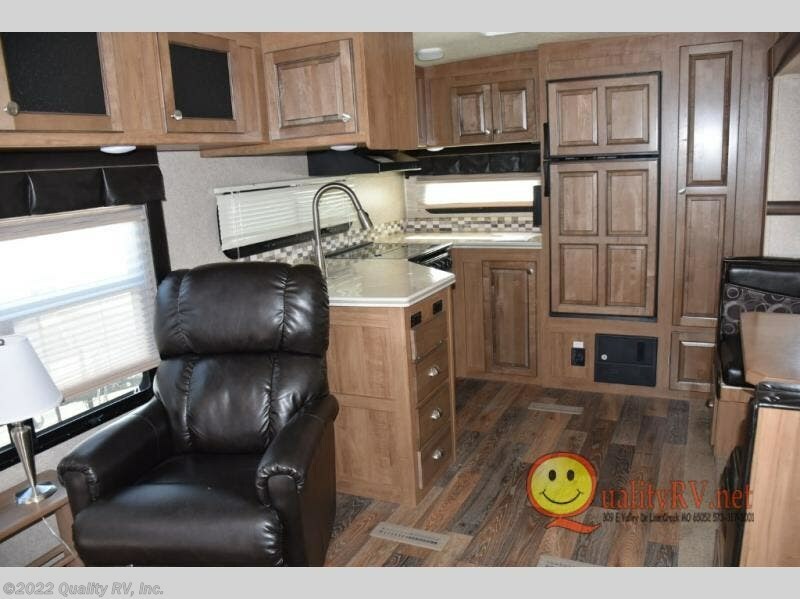 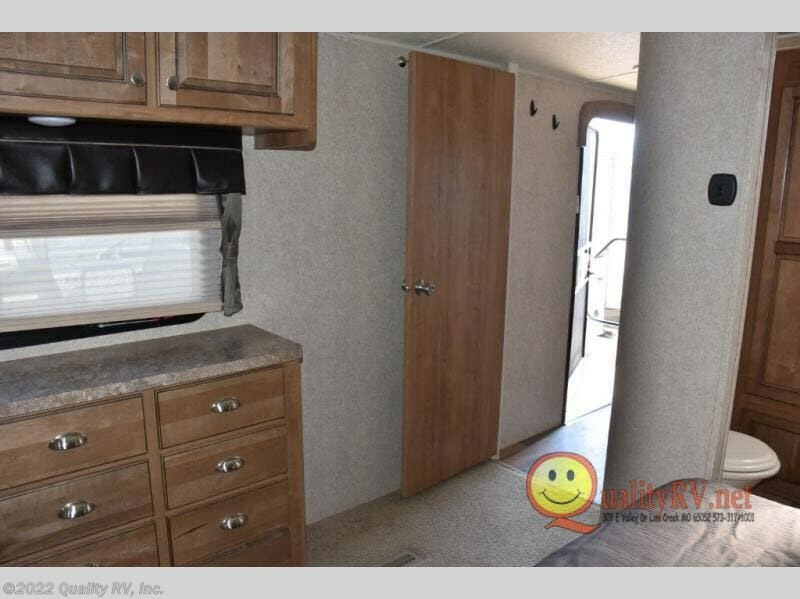 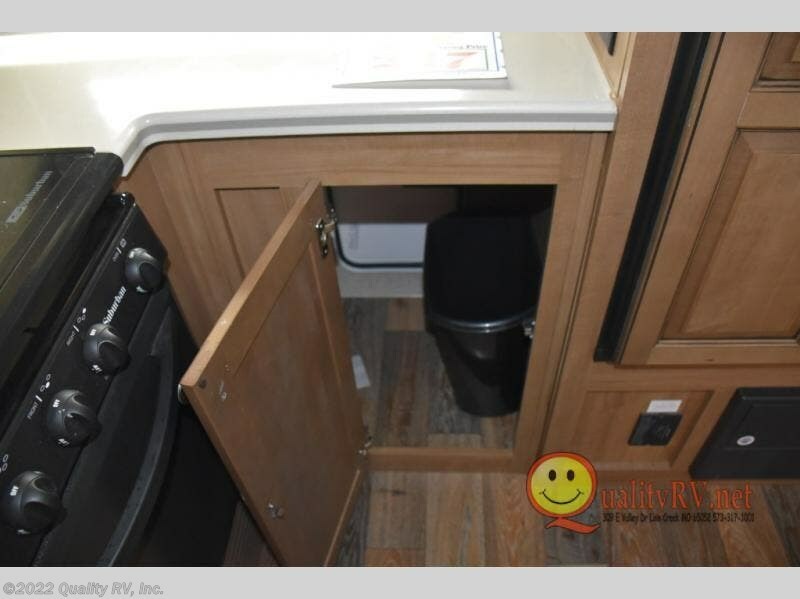 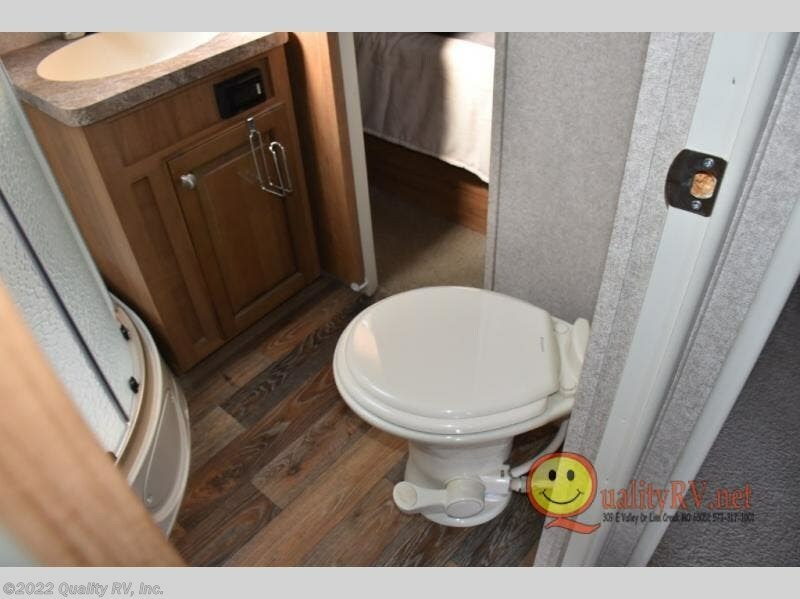 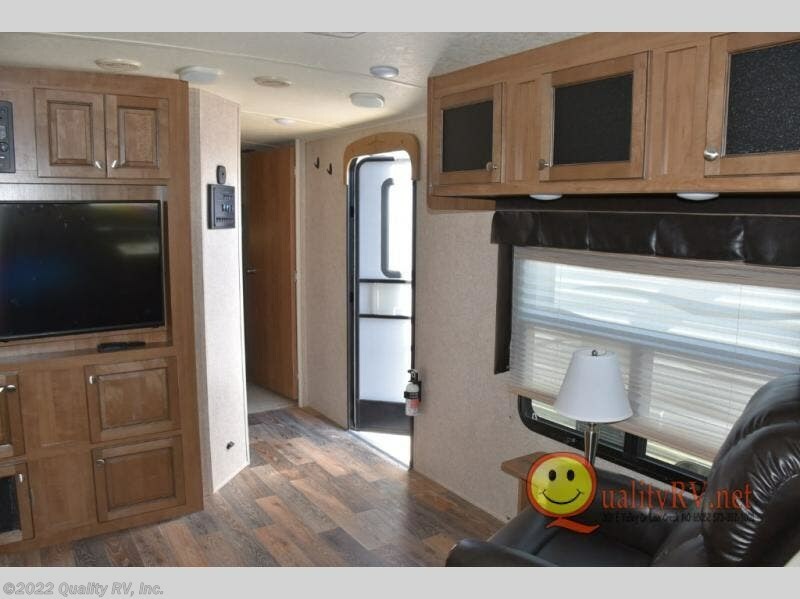 As you enter the travel trailer, to your left there are two recliners and an end table with a lamp, or choose optional Lazy Boy chairs. 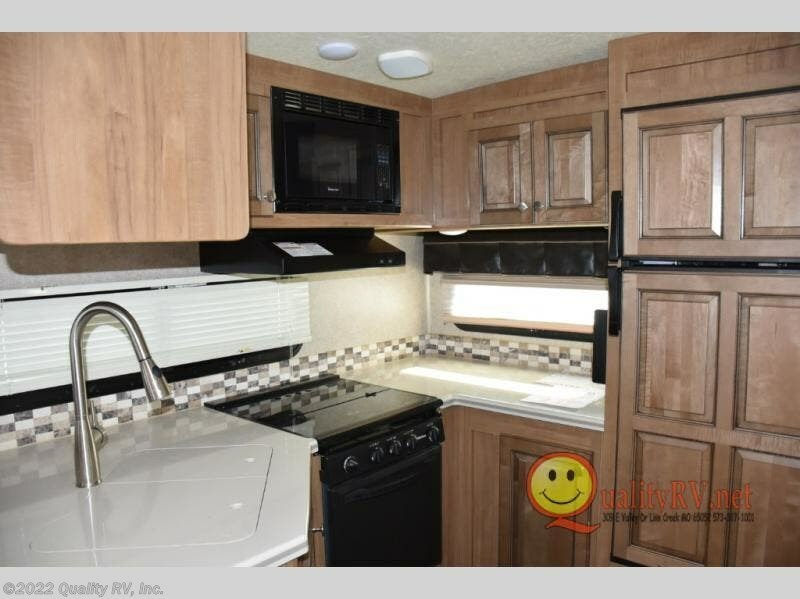 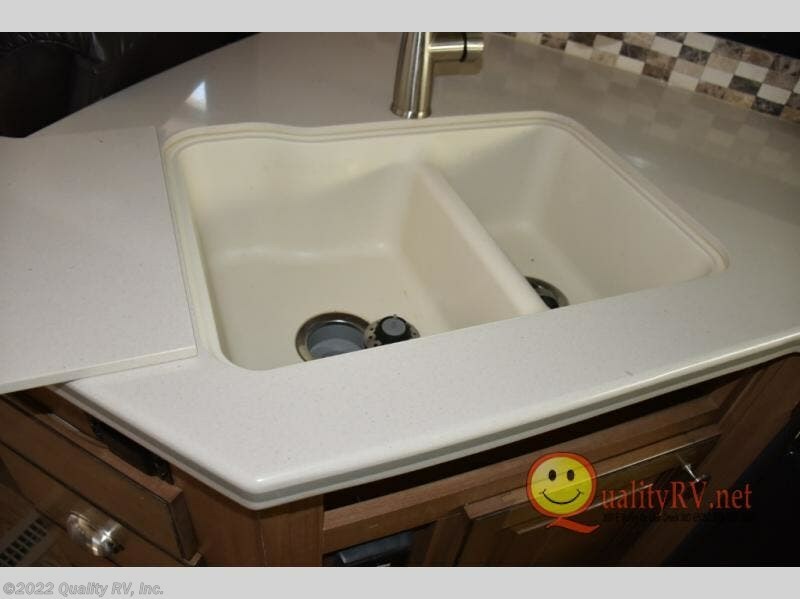 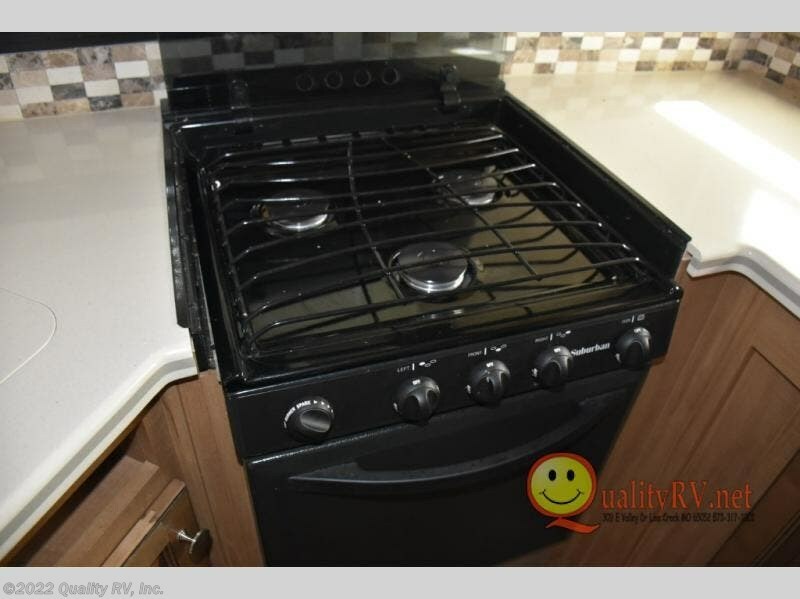 The kitchen has a countertop extension on a L-shaped counter, double kitchen sink, three burner range, and microwave along the curb side The counter space continues along the rear wall including a refrigerator, and pantry, plus overhead storage along both sides. 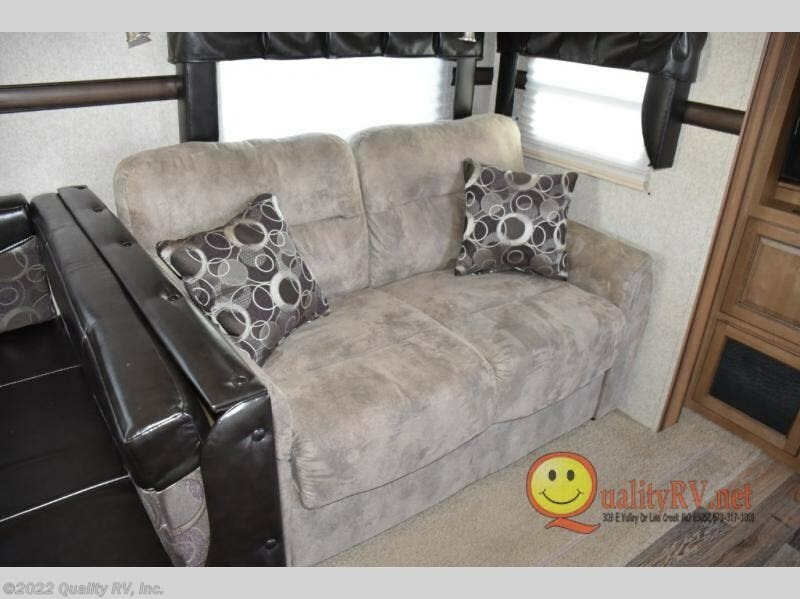 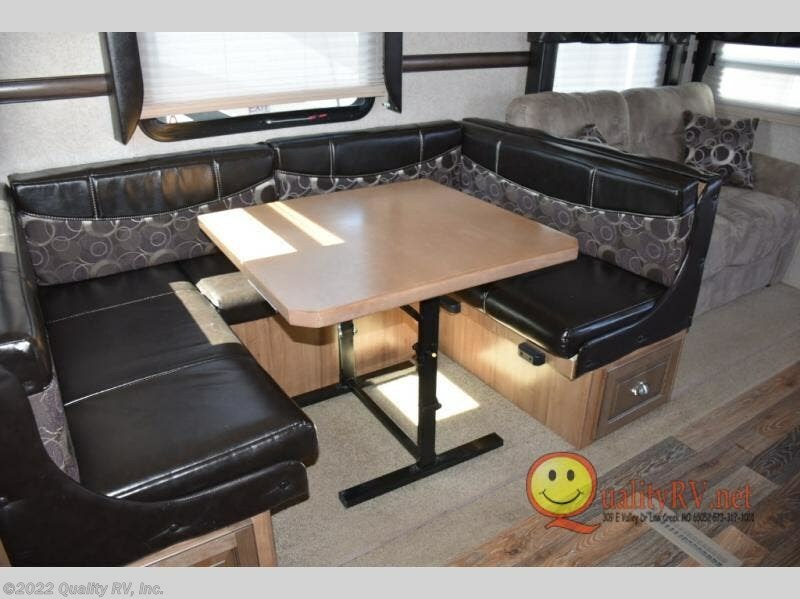 There is a slide out dinette and a hide-a-bed sofa across from the recliners. 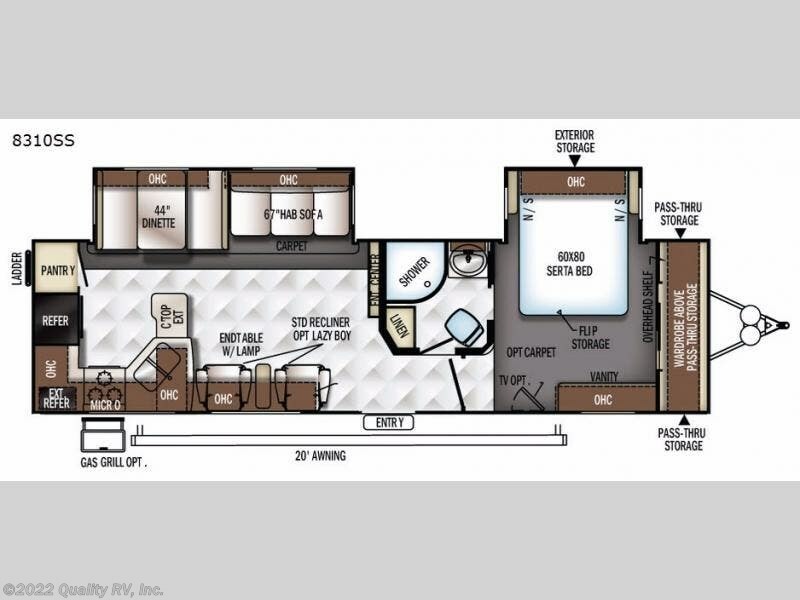 Next to the slide you will find an entertainment center. 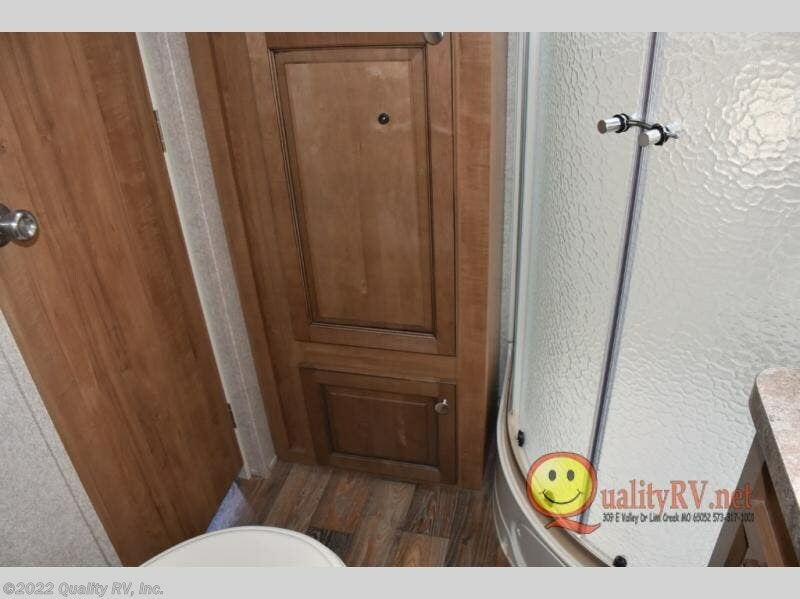 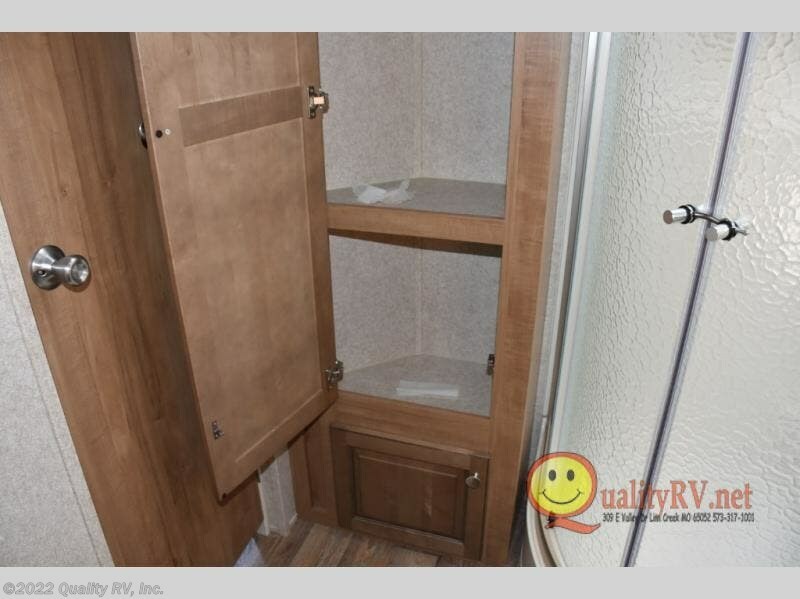 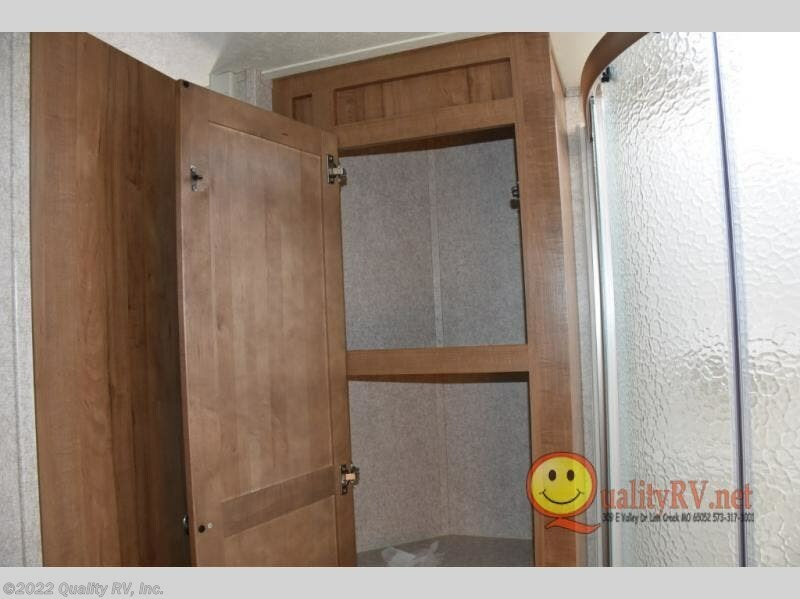 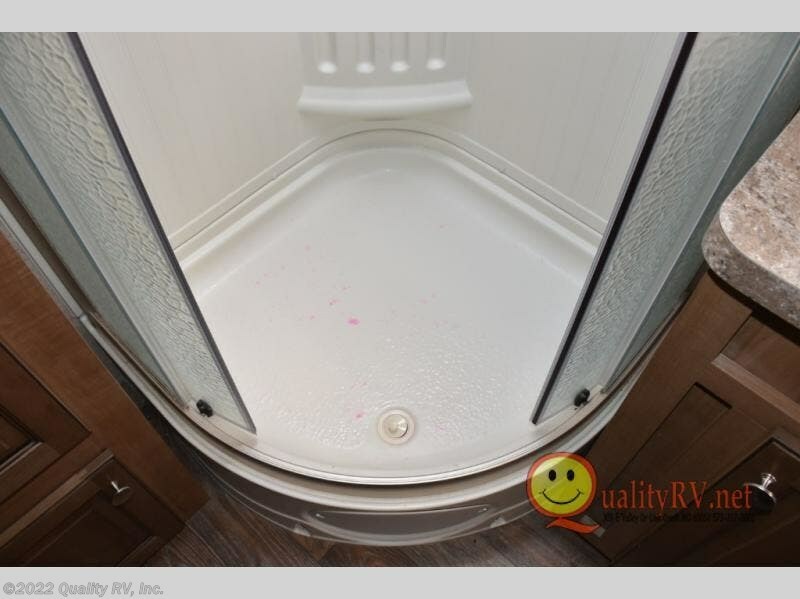 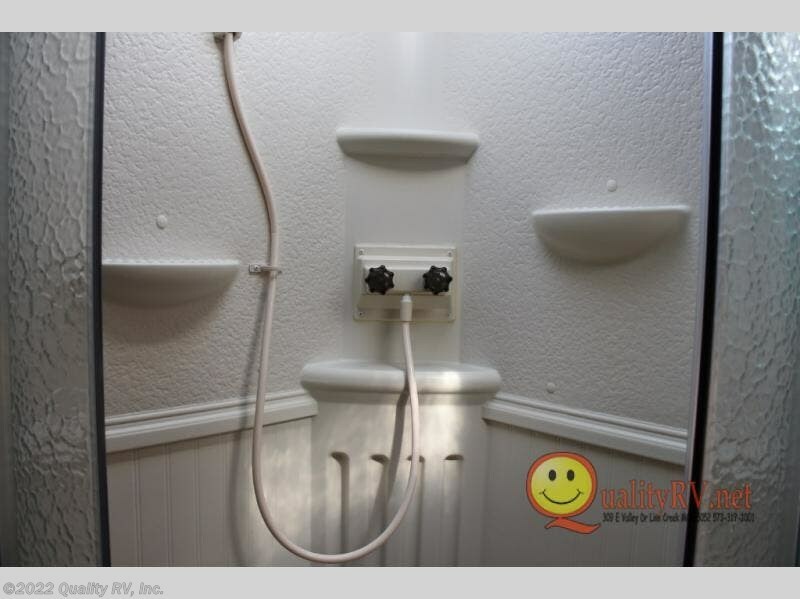 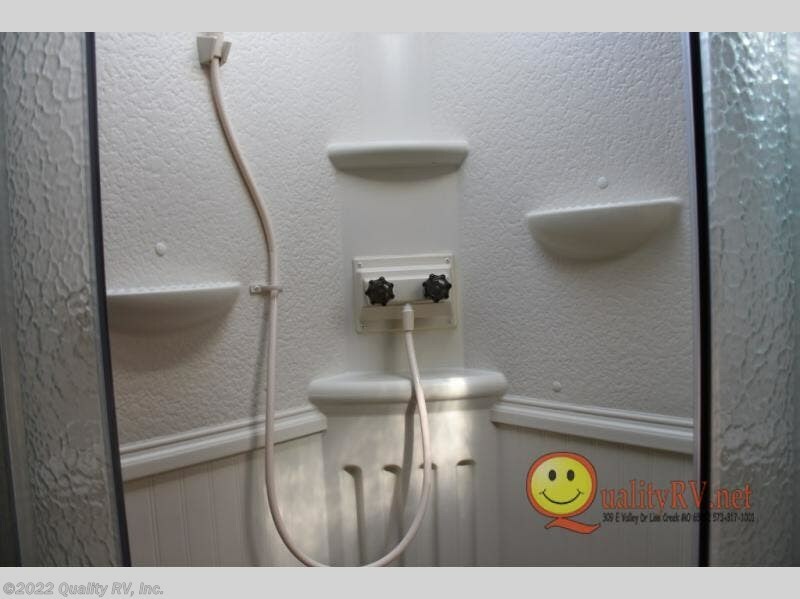 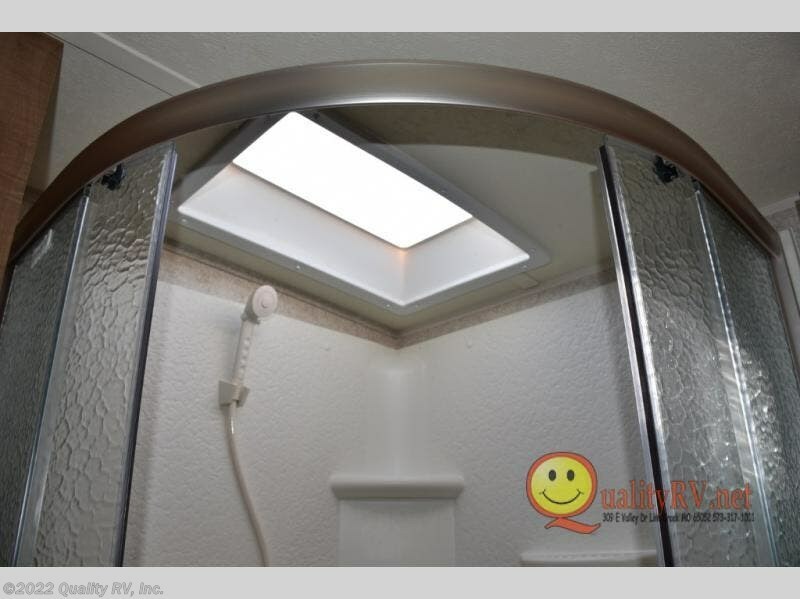 The side aisle bath has a linen cabinet, radius shower, sink, and a toilet. 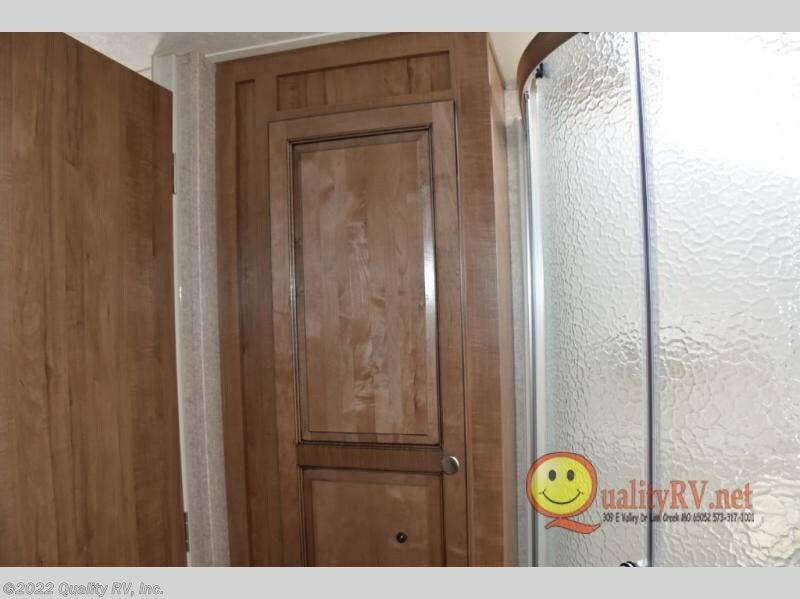 There is even a private entrance from the bathroom into the bedroom as an added convenience. 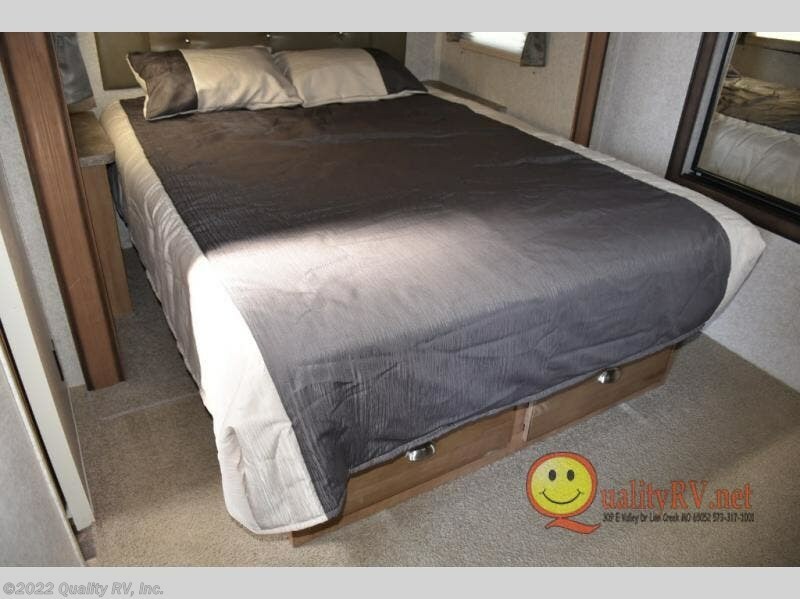 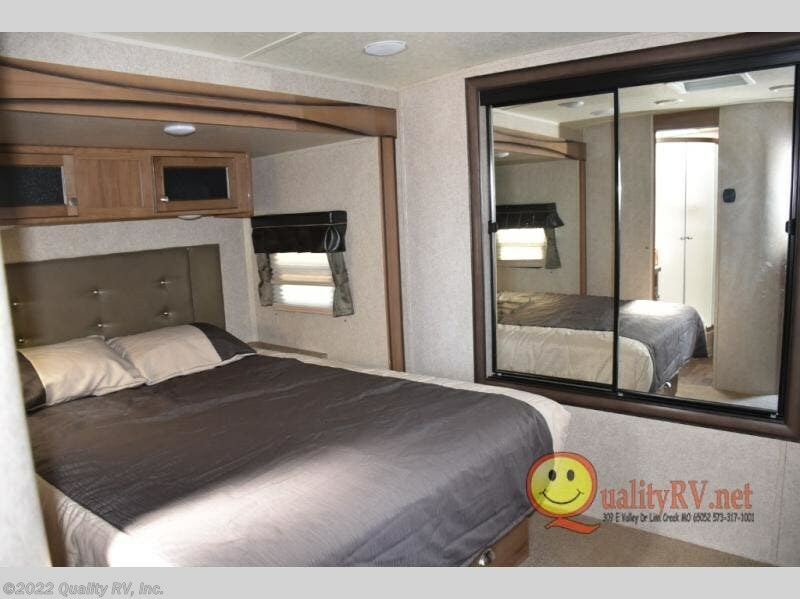 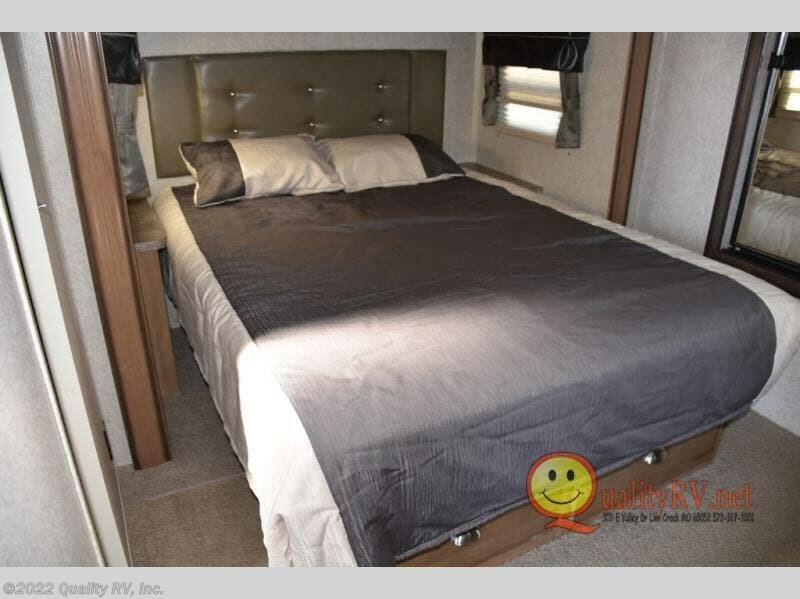 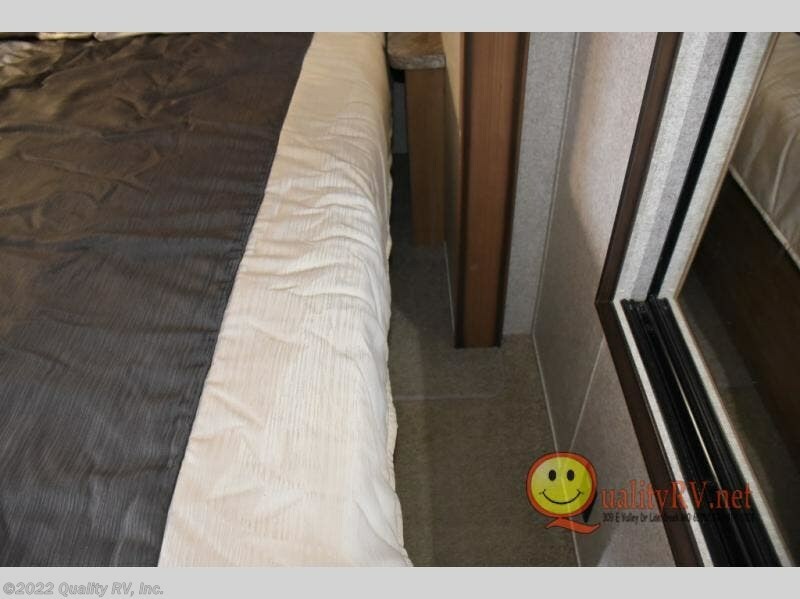 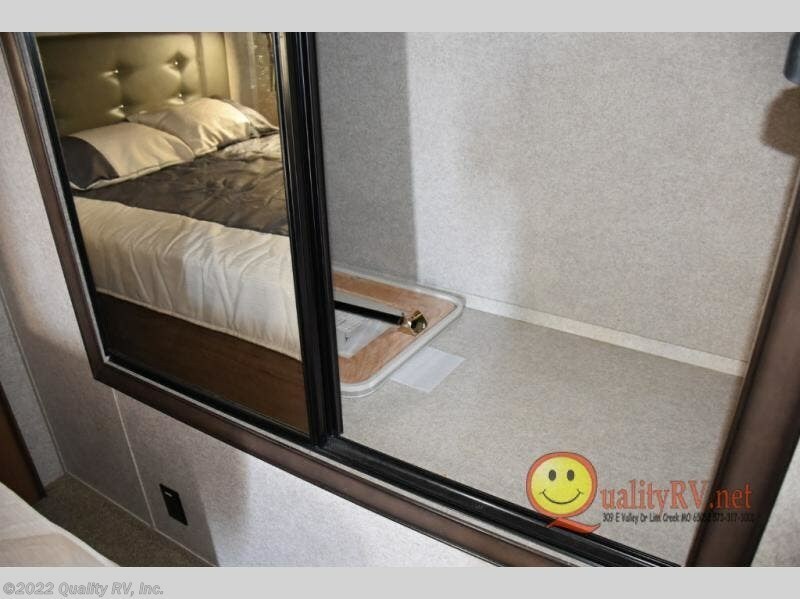 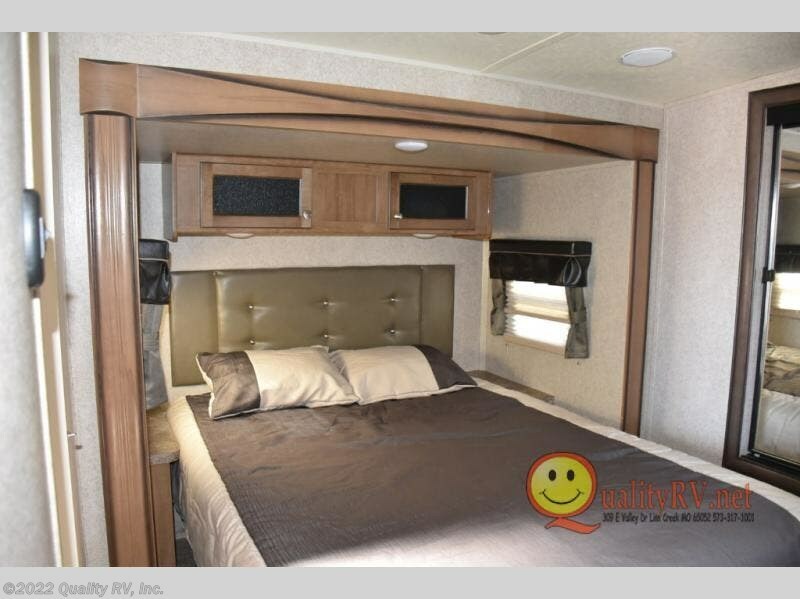 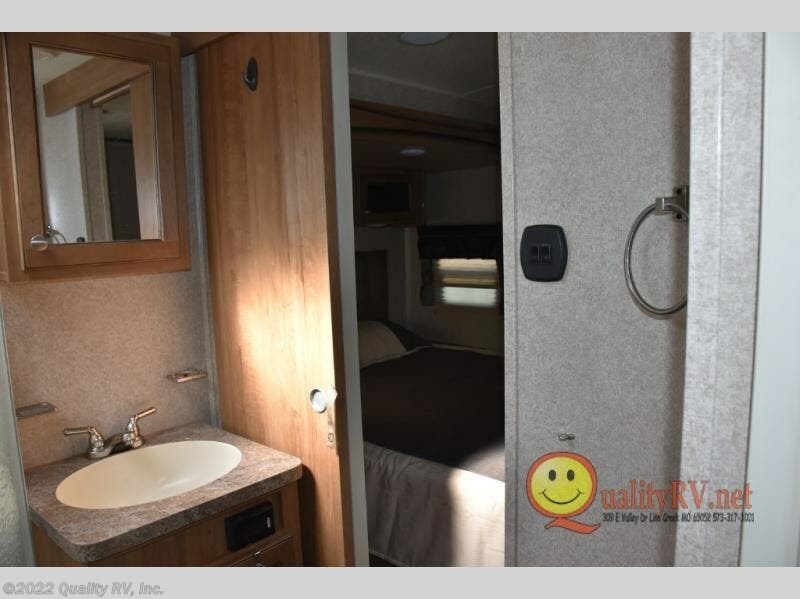 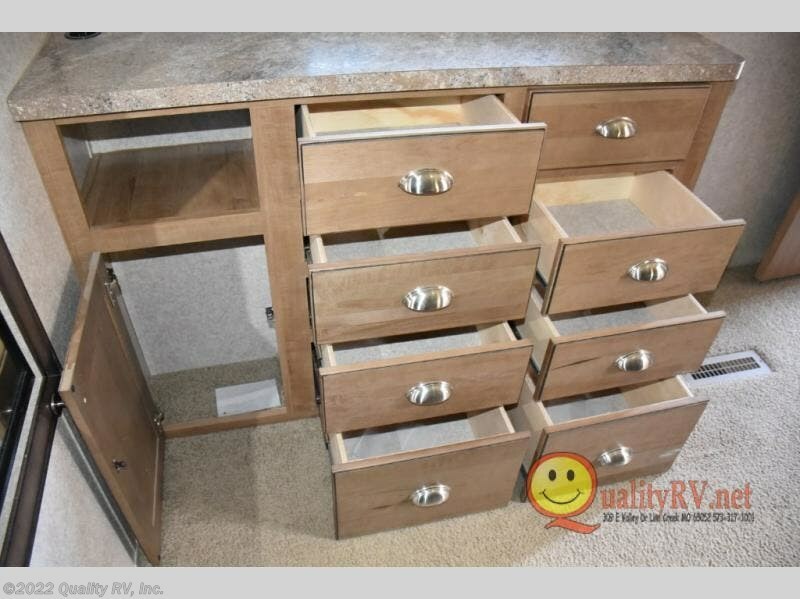 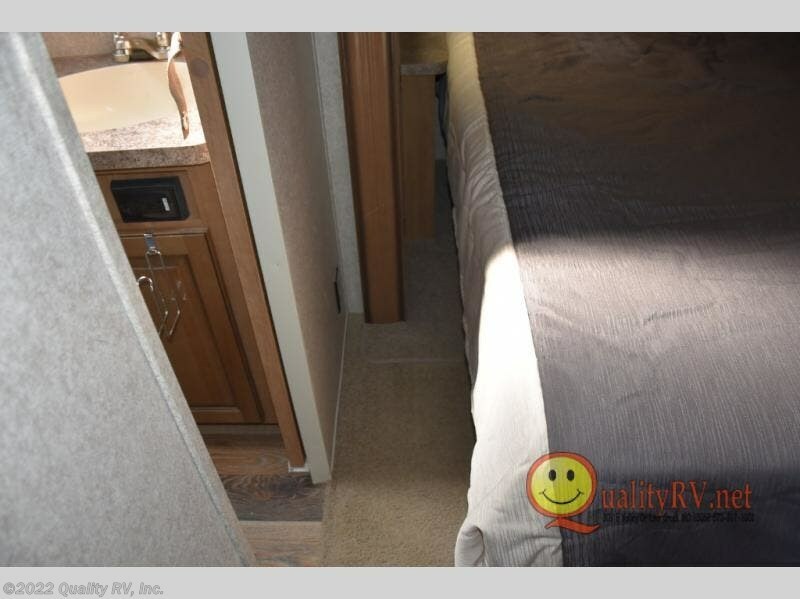 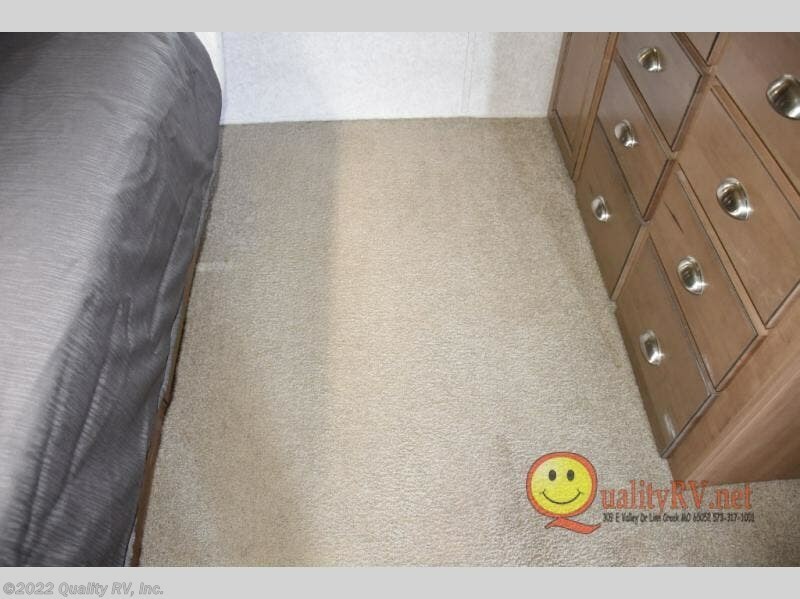 The front bedroom has a queen size Serta bed with nightstands, overhead cabinets and a flip storage within a slide out along the road side wall. 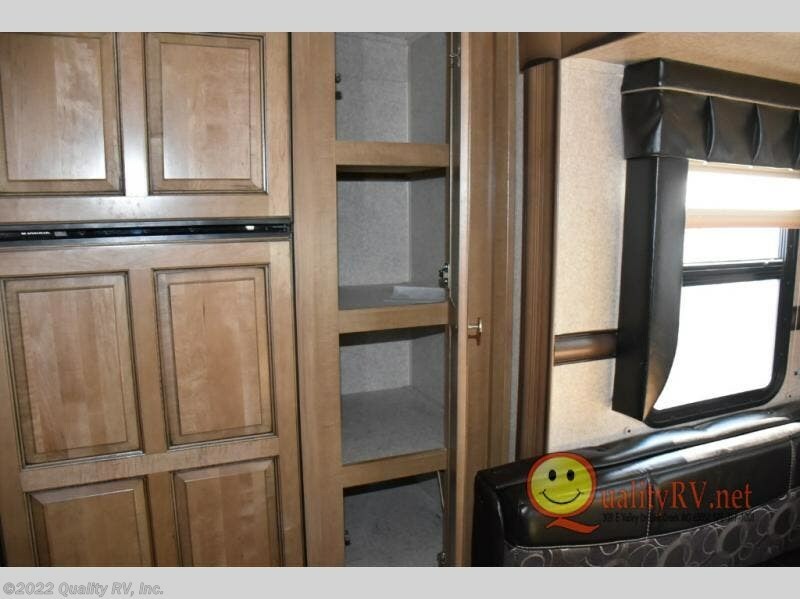 You will find plenty of storage for your things in the front full wall wardrobe with overhead shelf, and the vanity with overhead cabinets across from the bed. 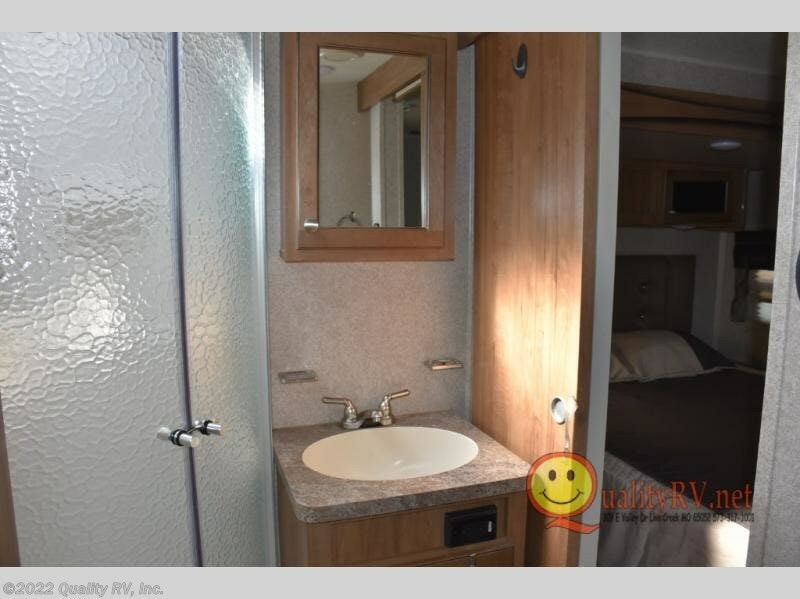 There is an optional TV above the vanity. 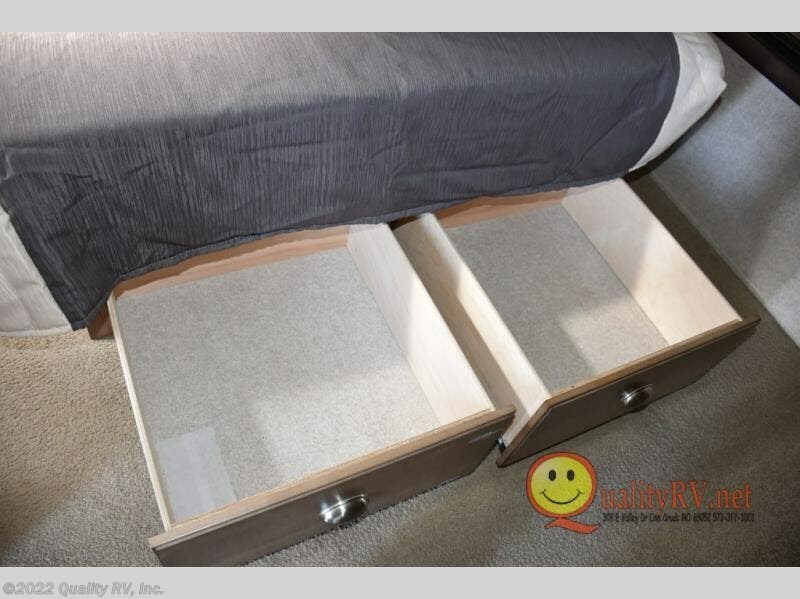 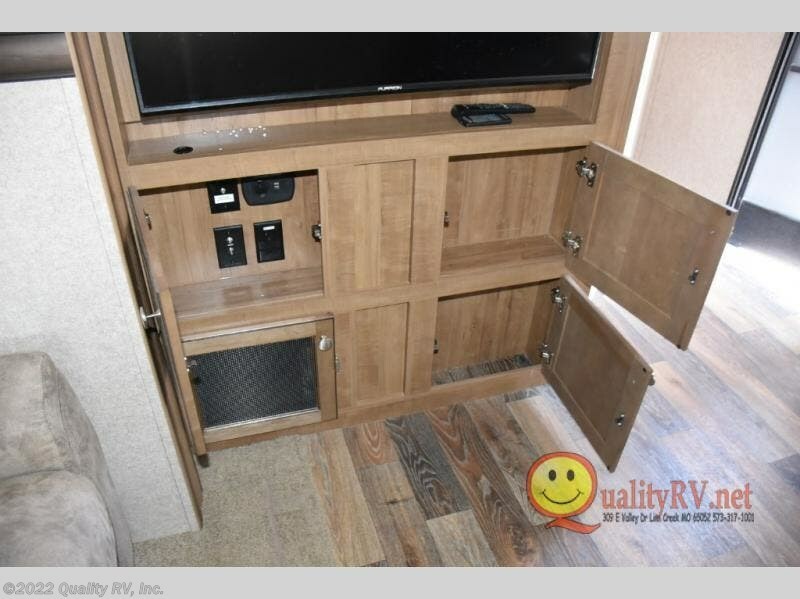 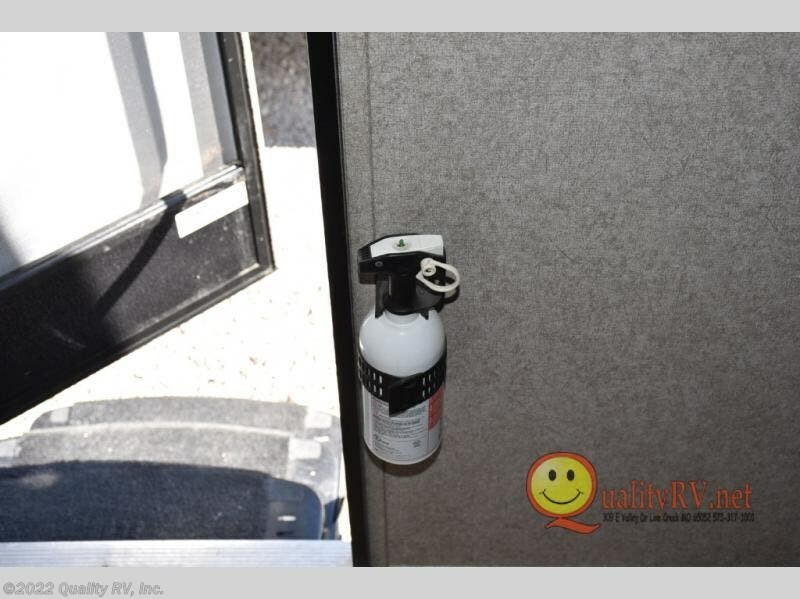 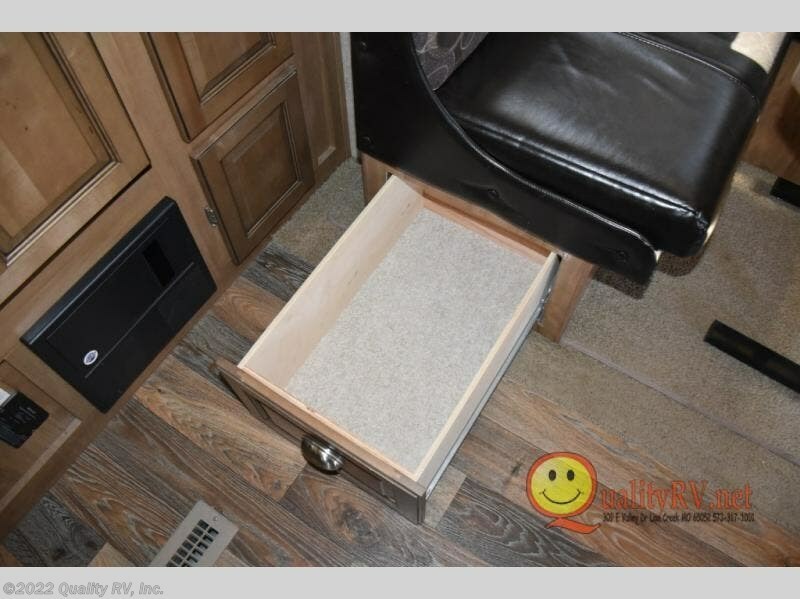 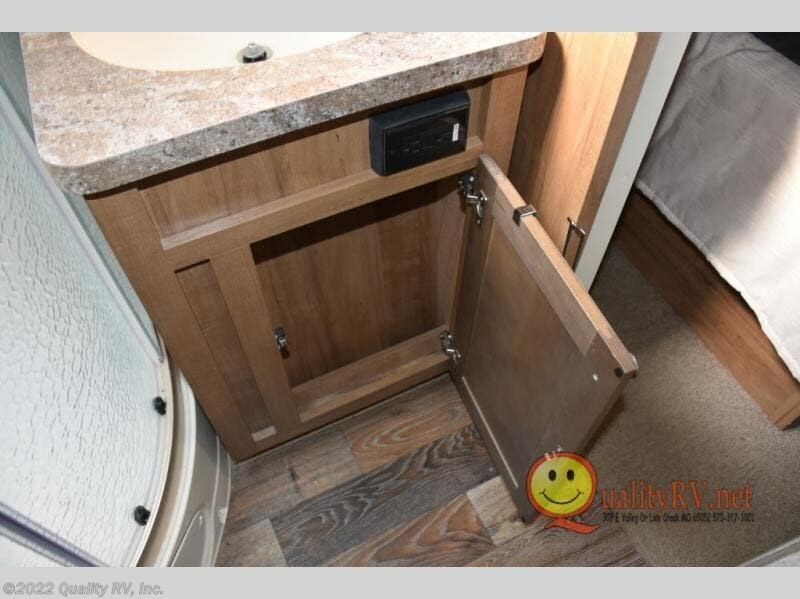 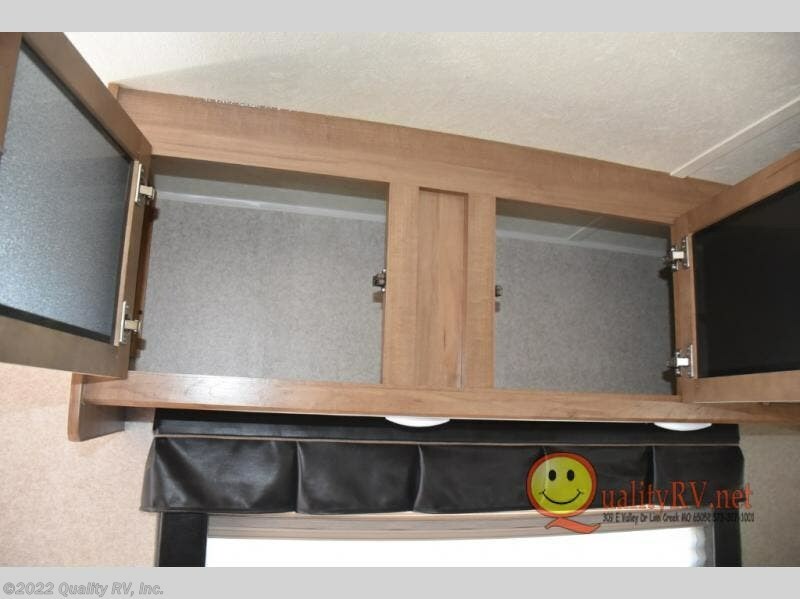 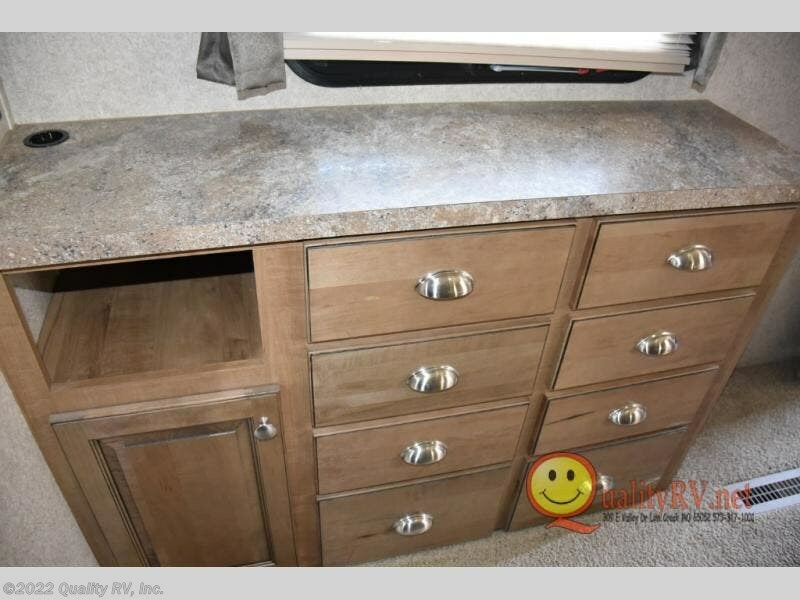 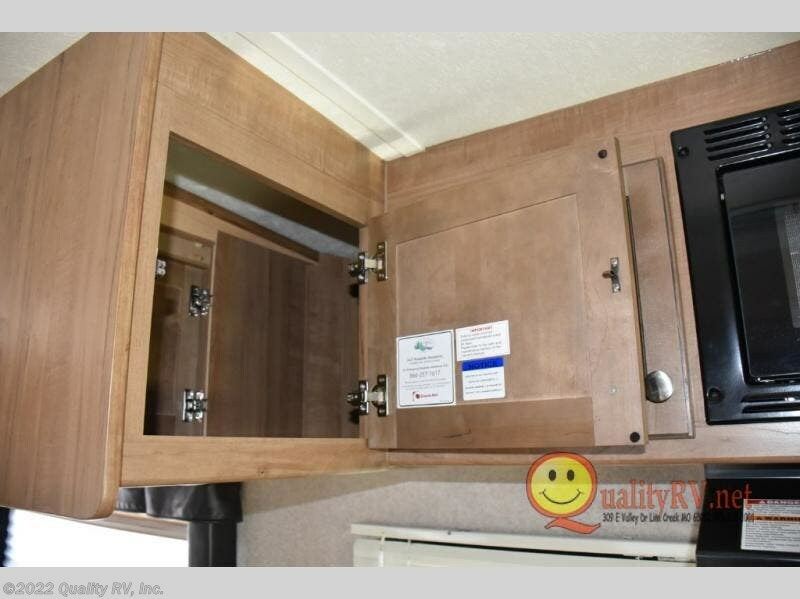 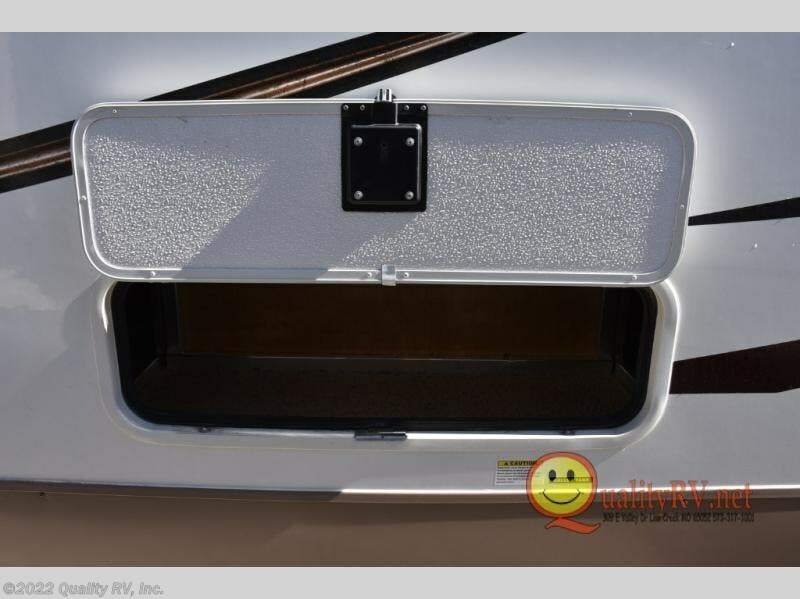 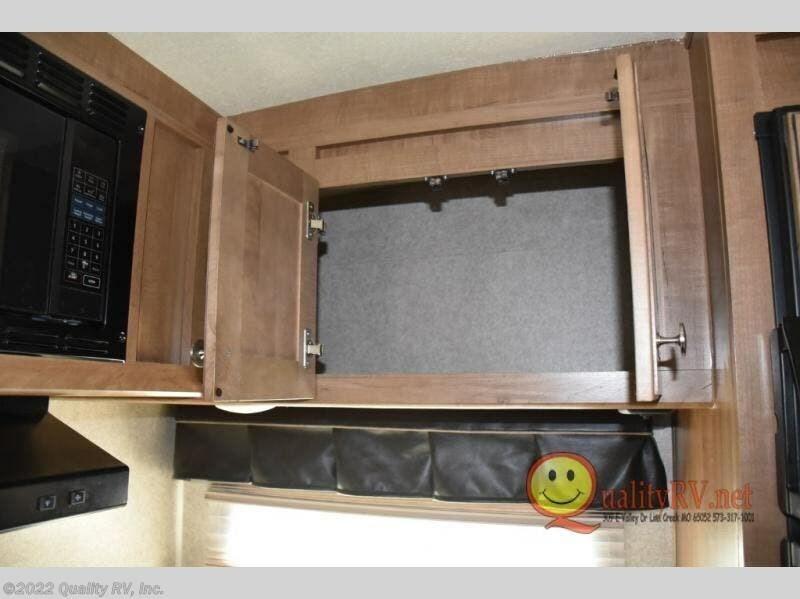 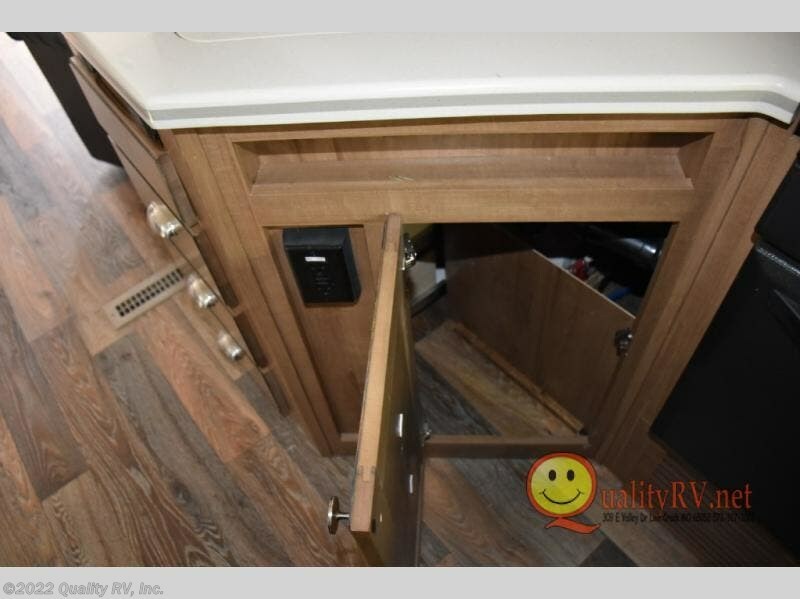 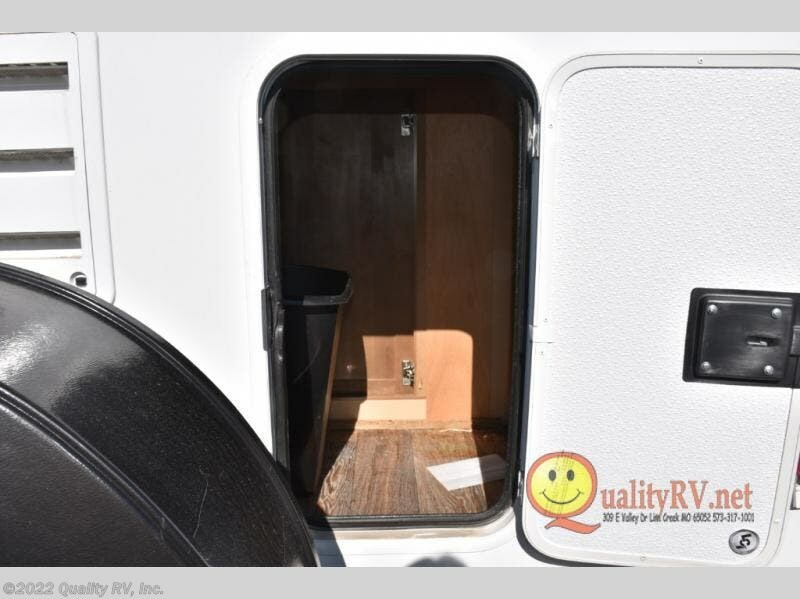 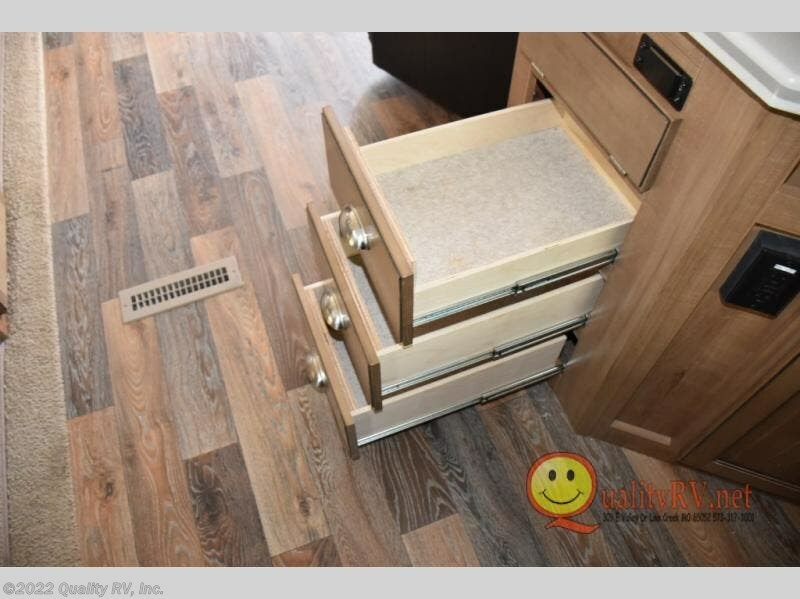 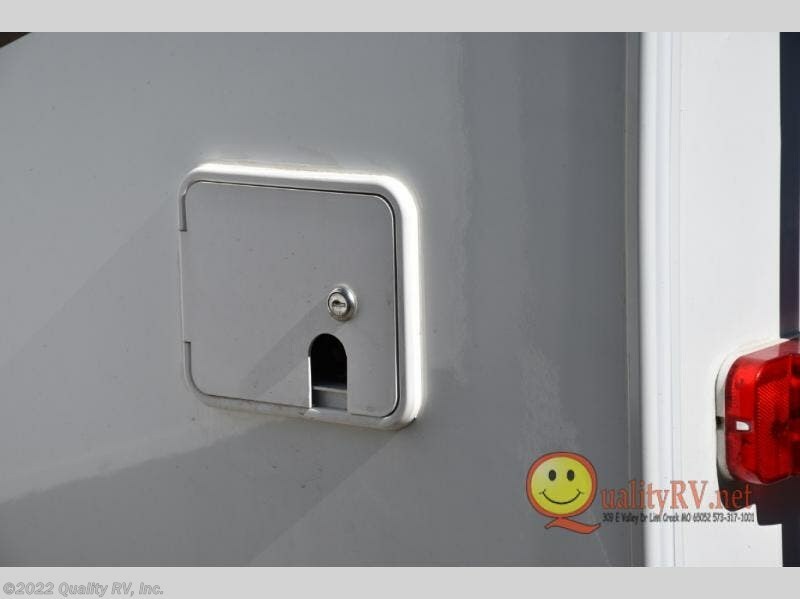 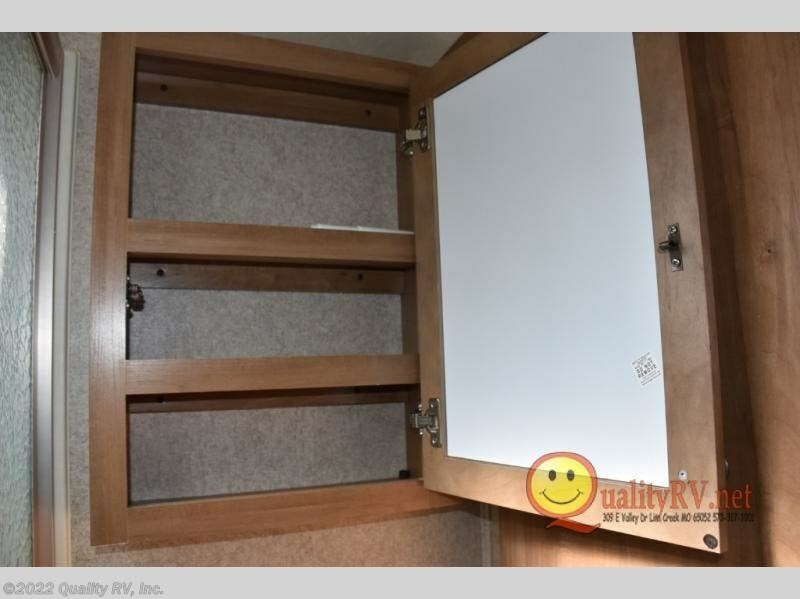 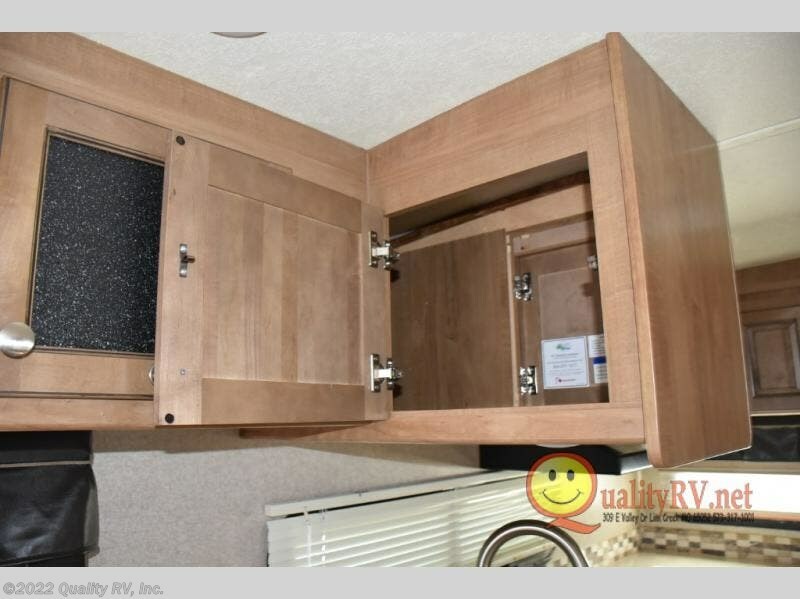 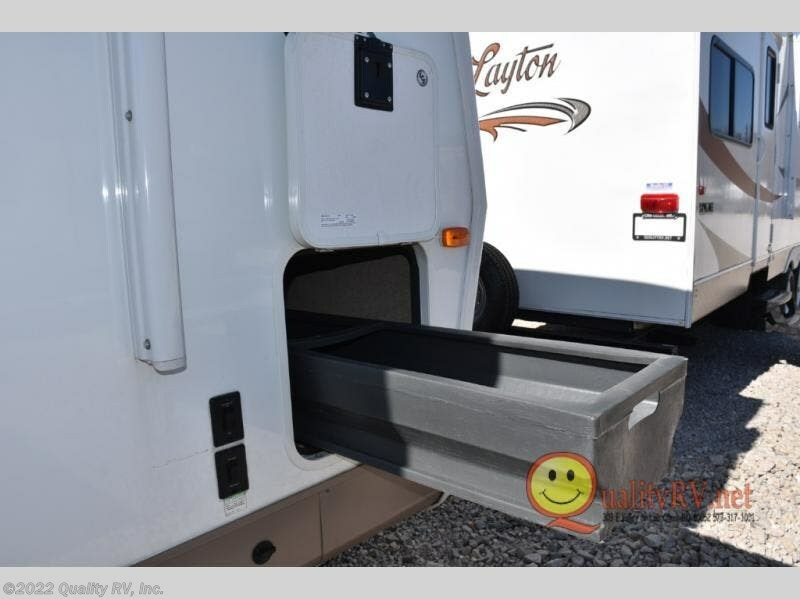 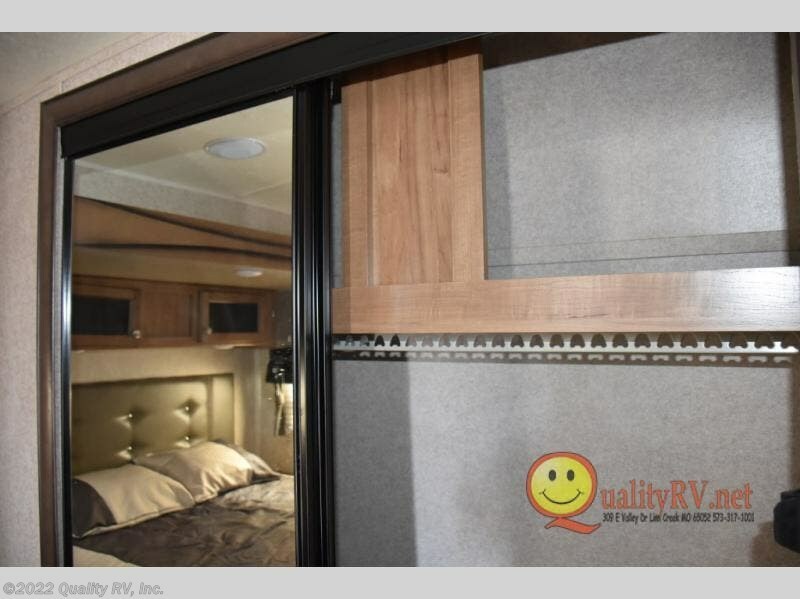 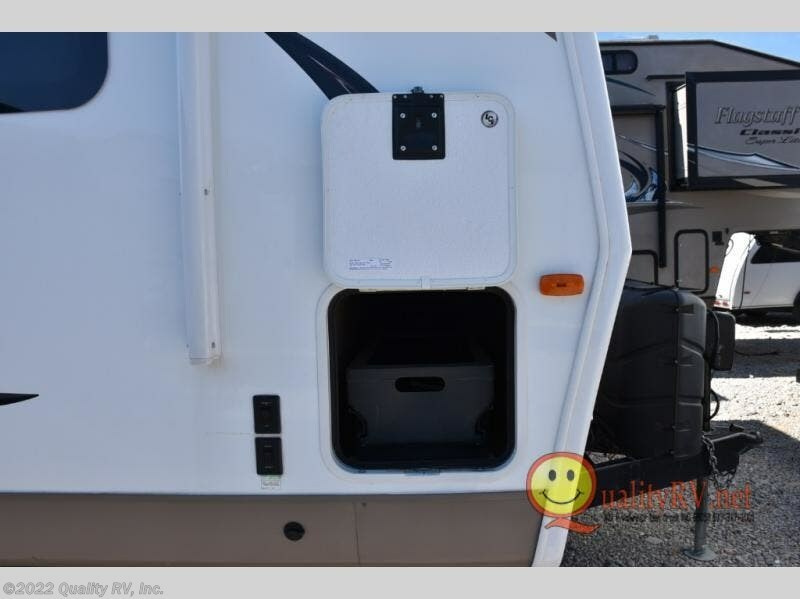 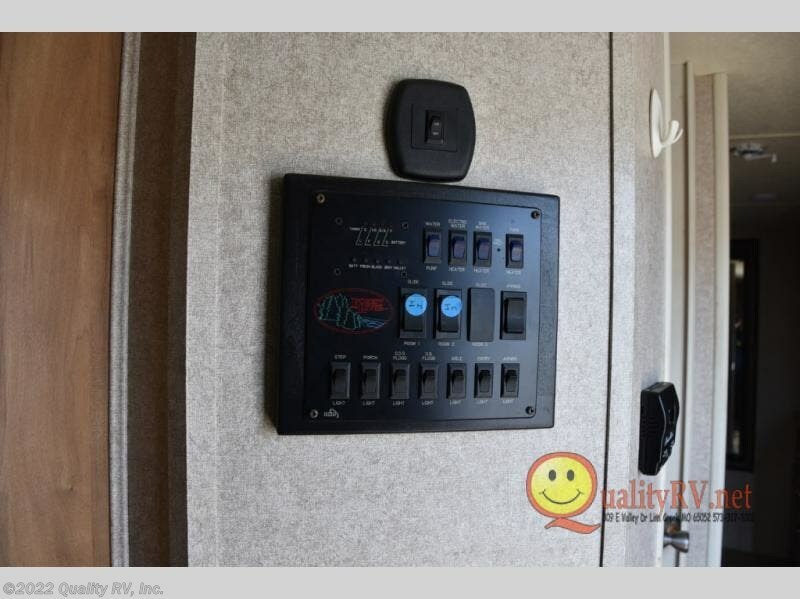 Outside you will find additional storage for your gear in the pass through compartment. 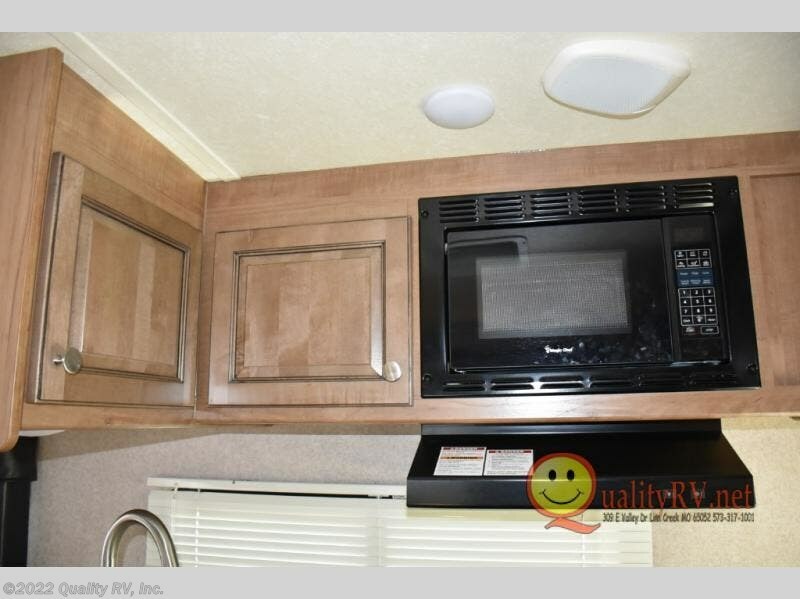 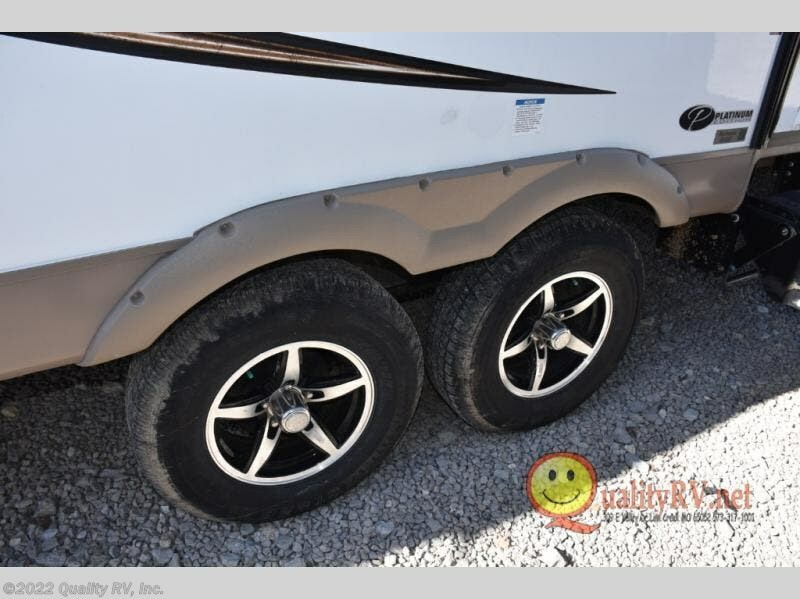 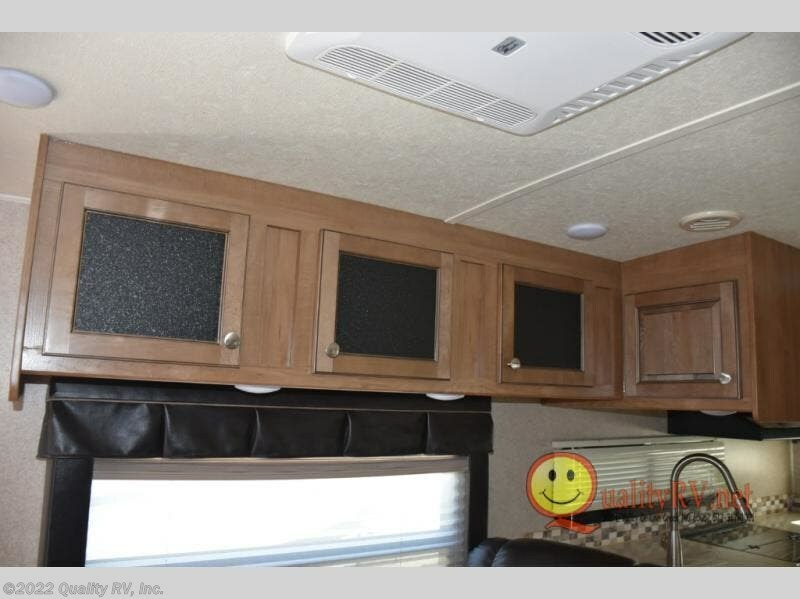 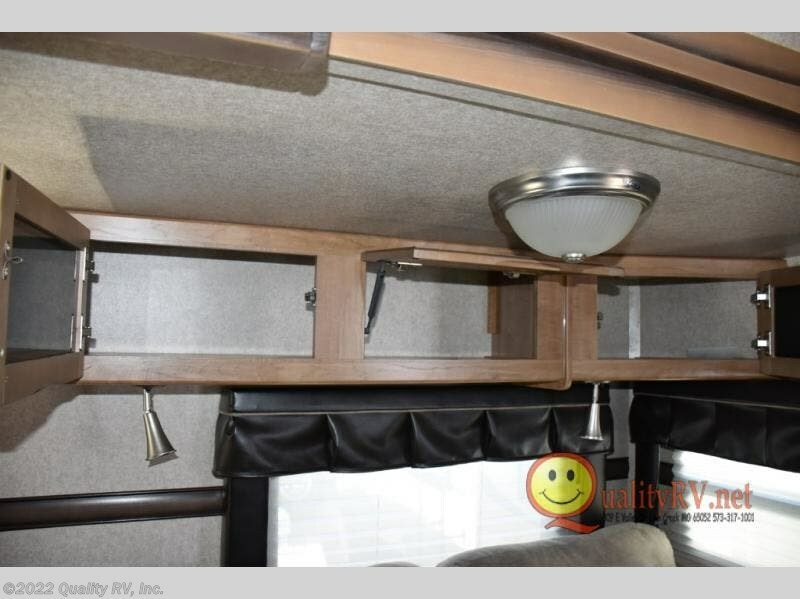 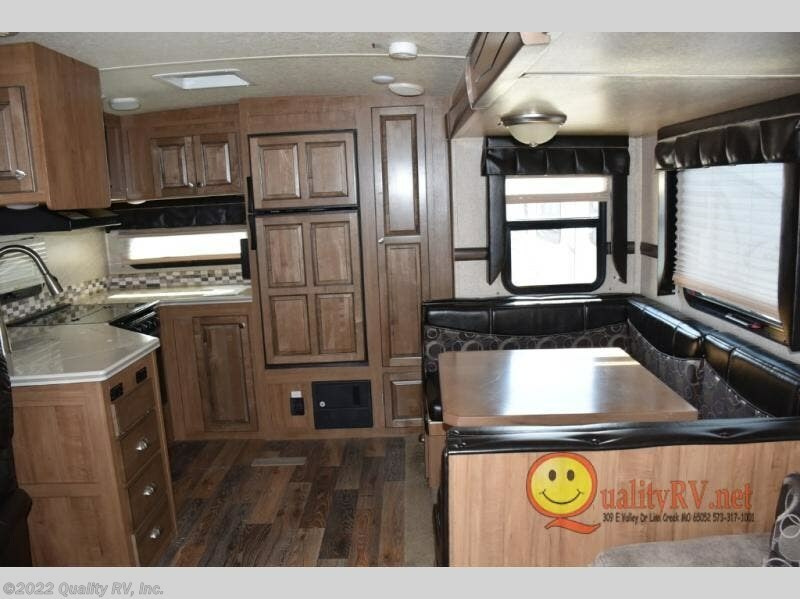 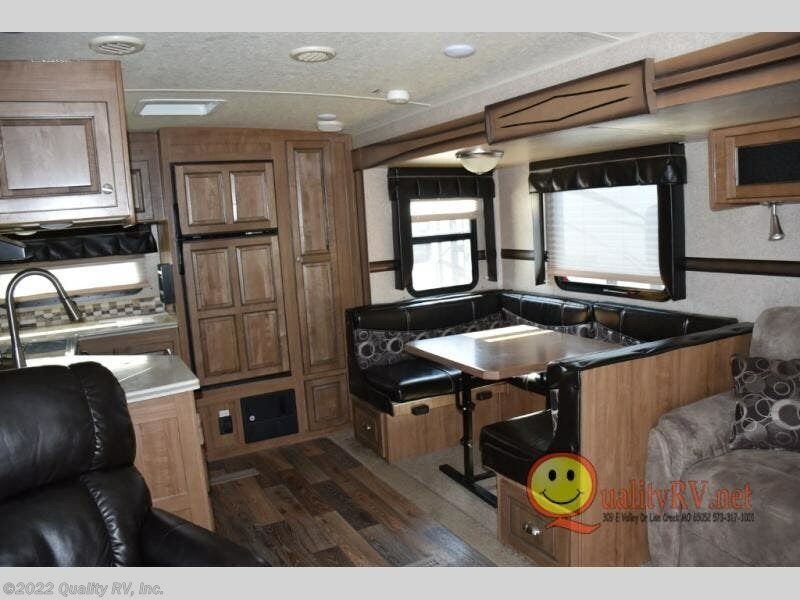 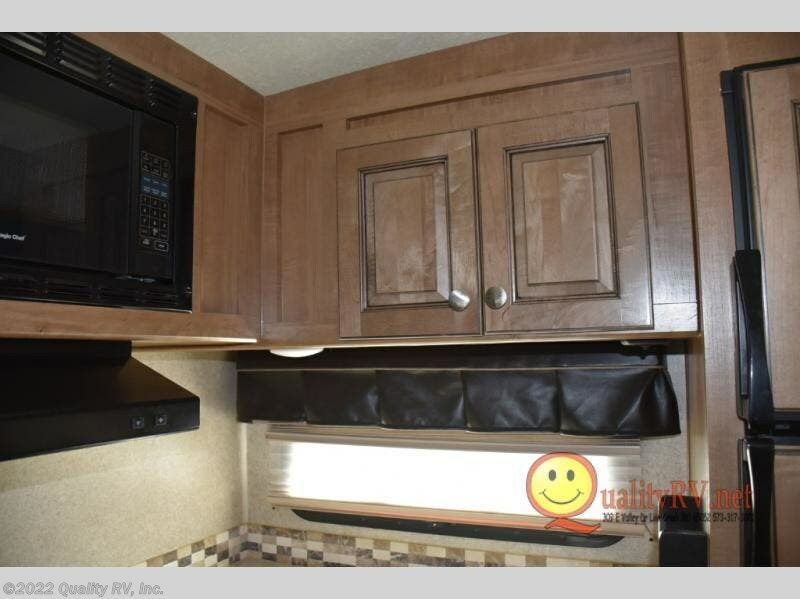 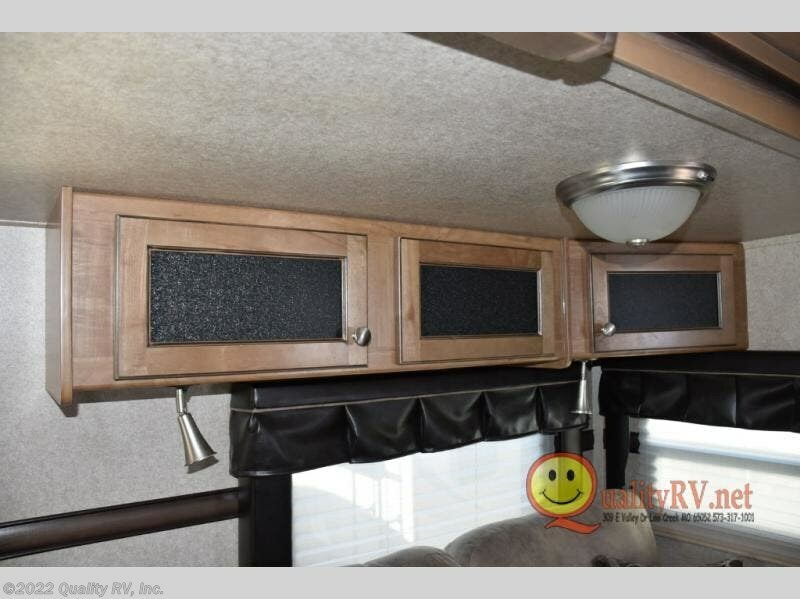 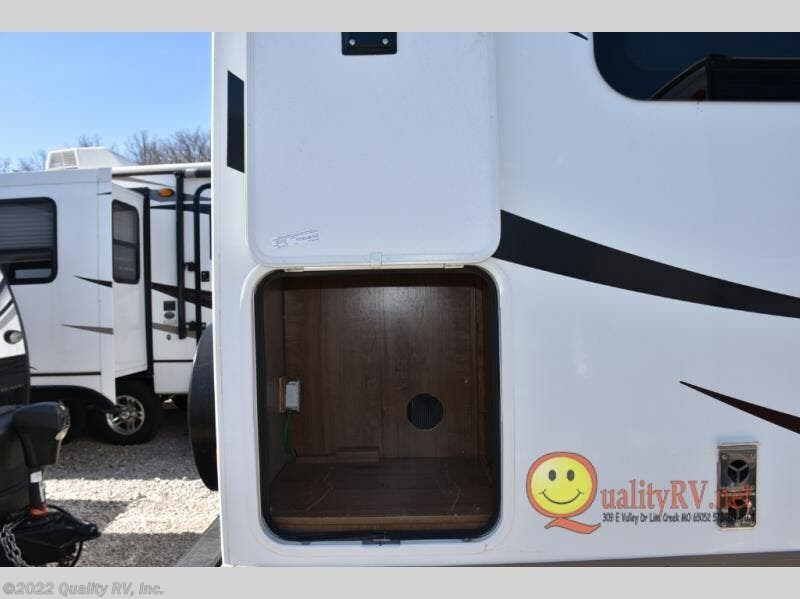 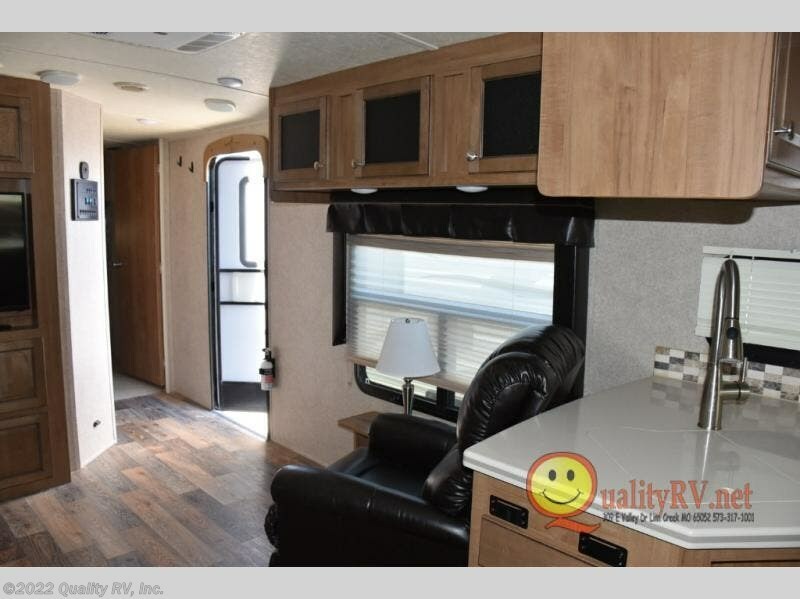 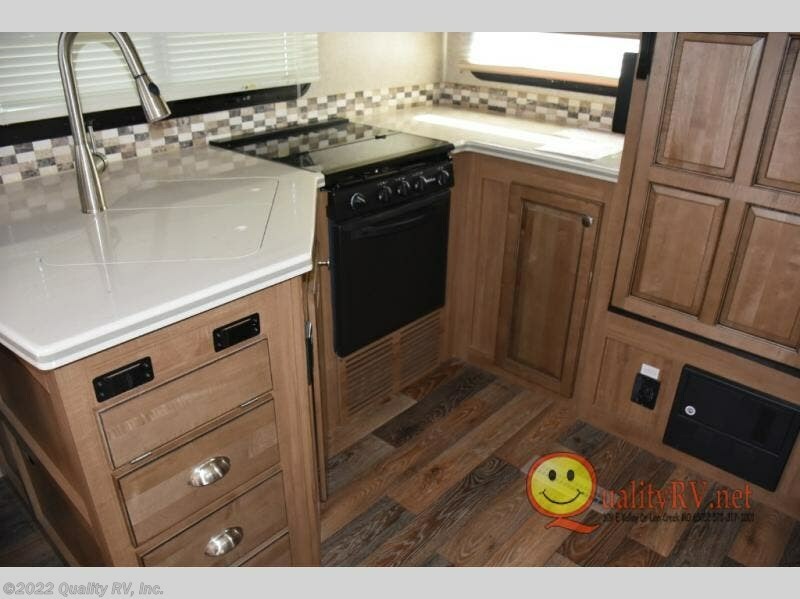 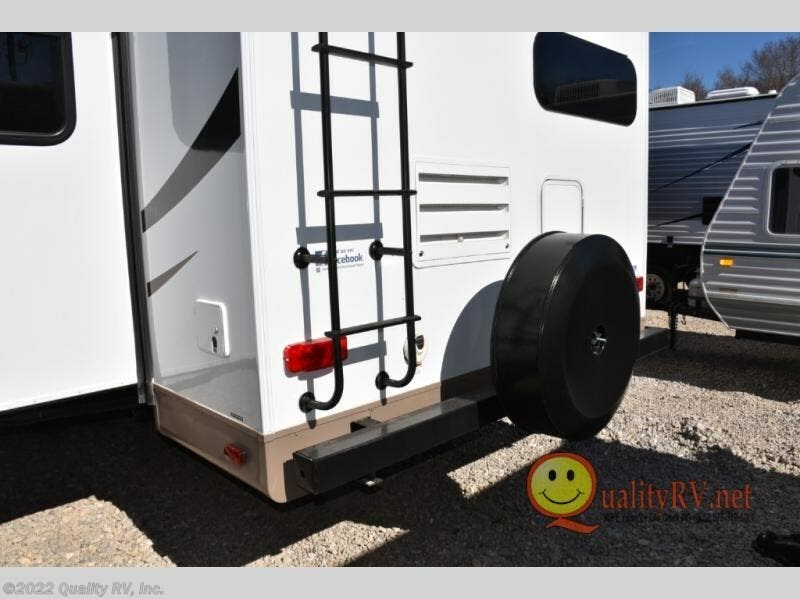 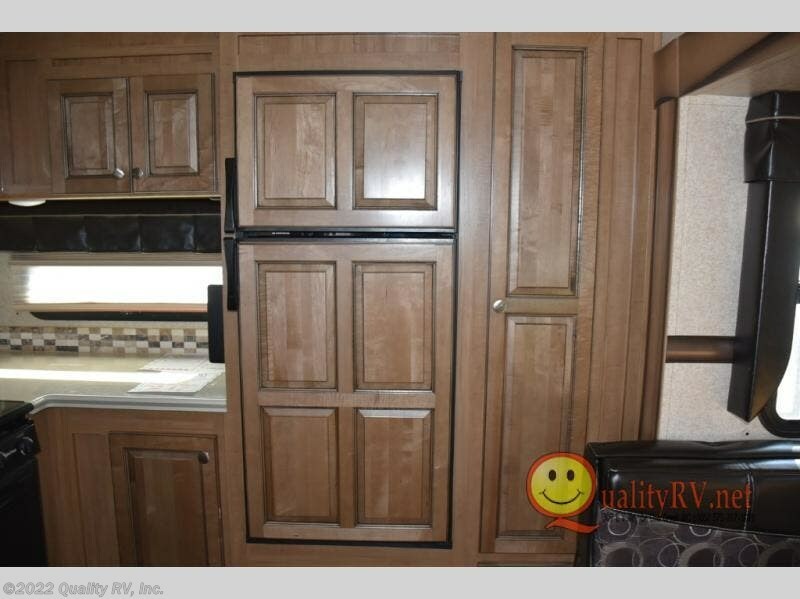 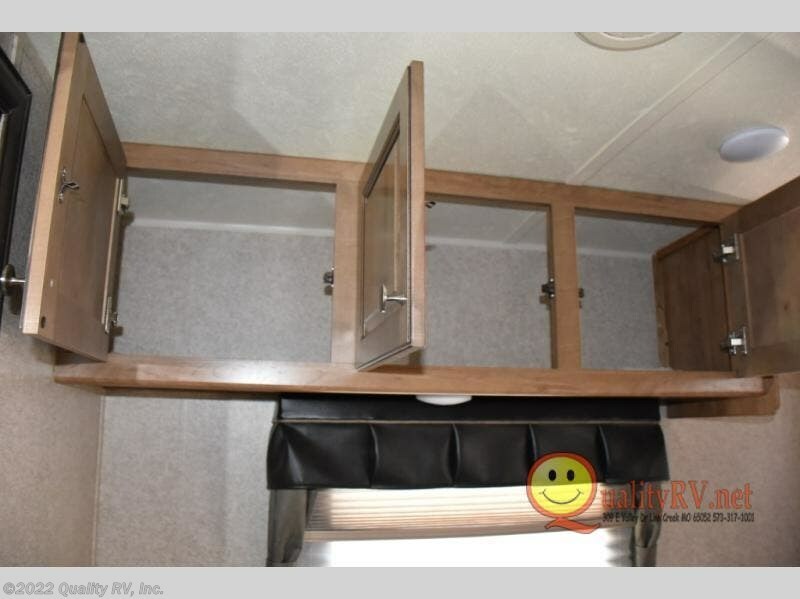 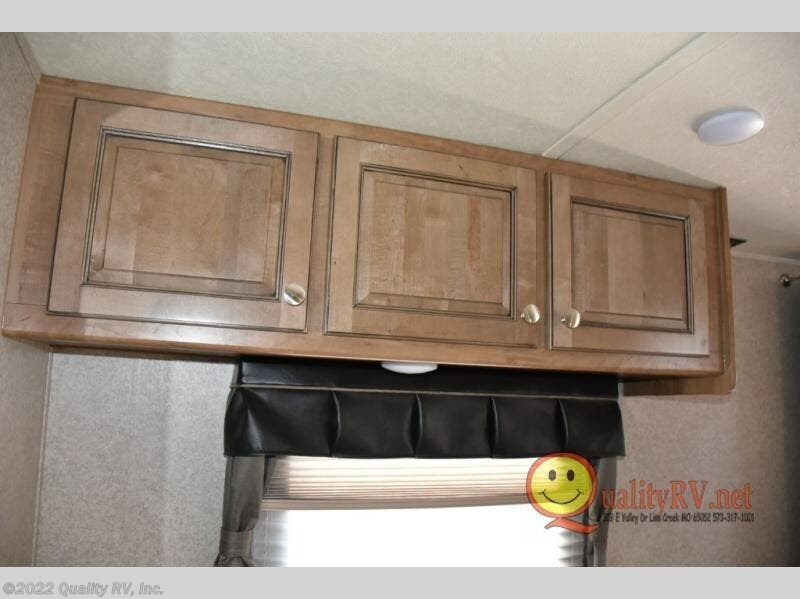 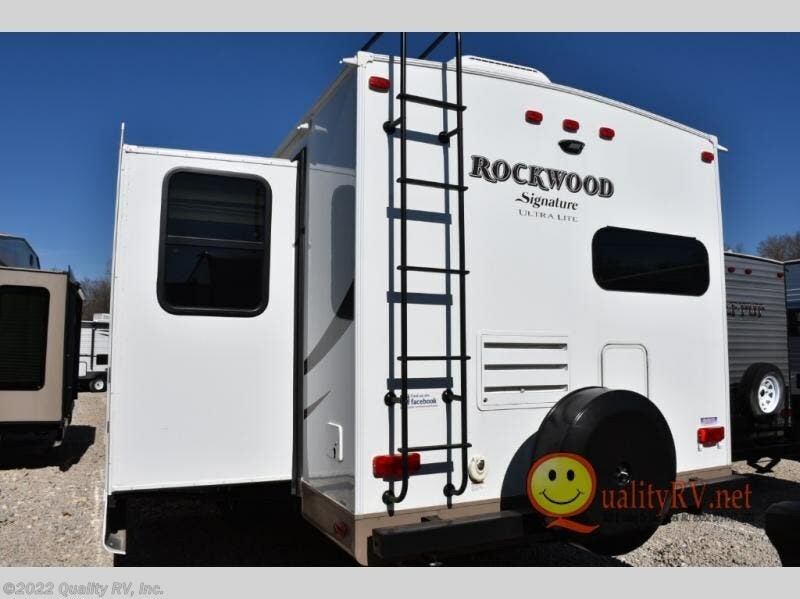 There is an awning, optional gas grill, and a rear ladder, plus more! 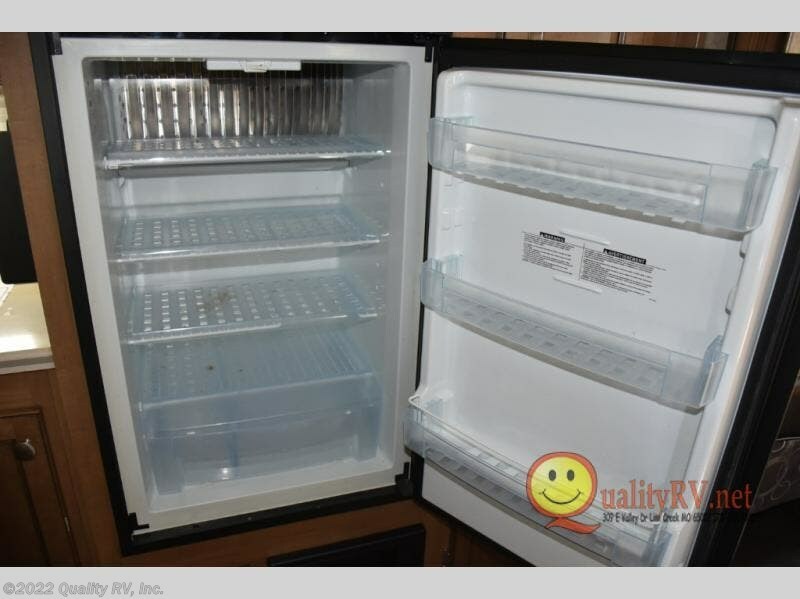 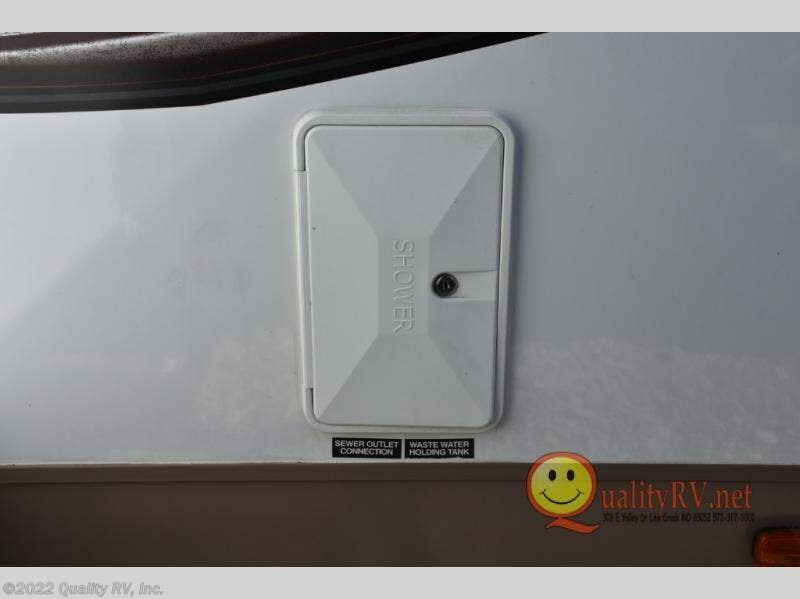 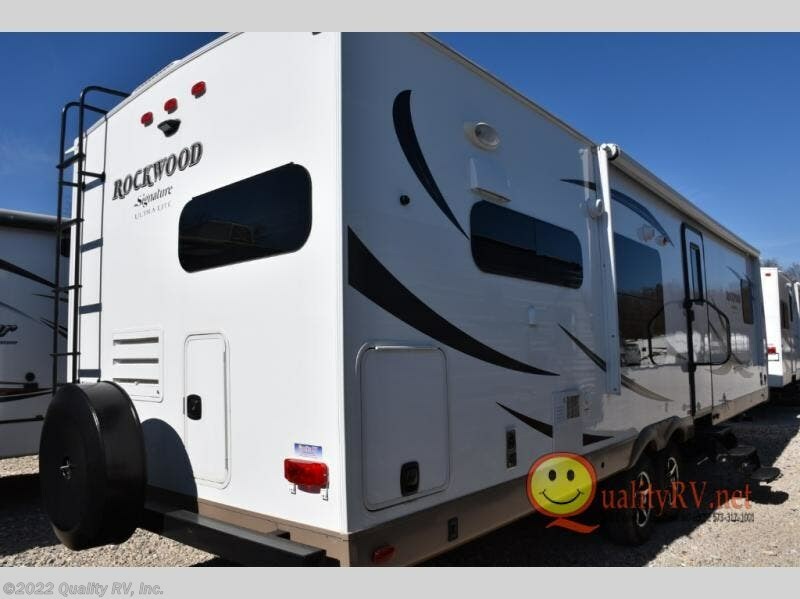 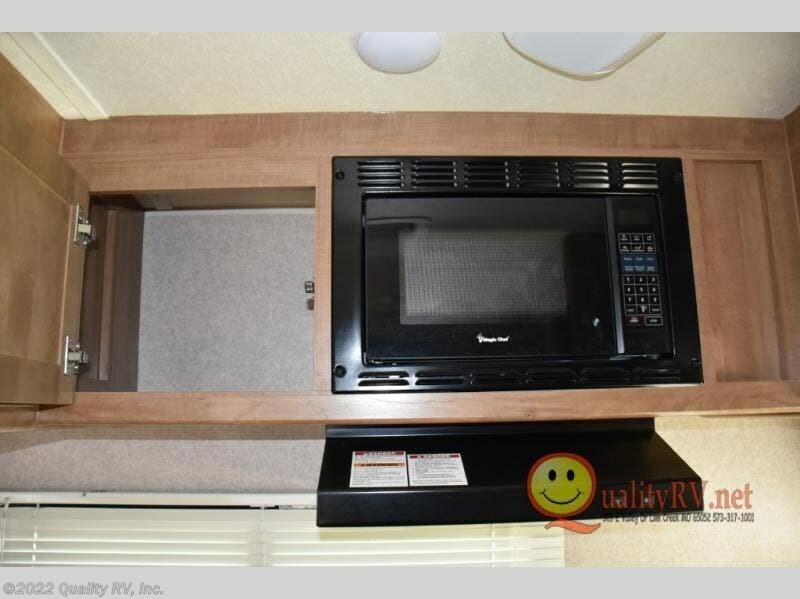 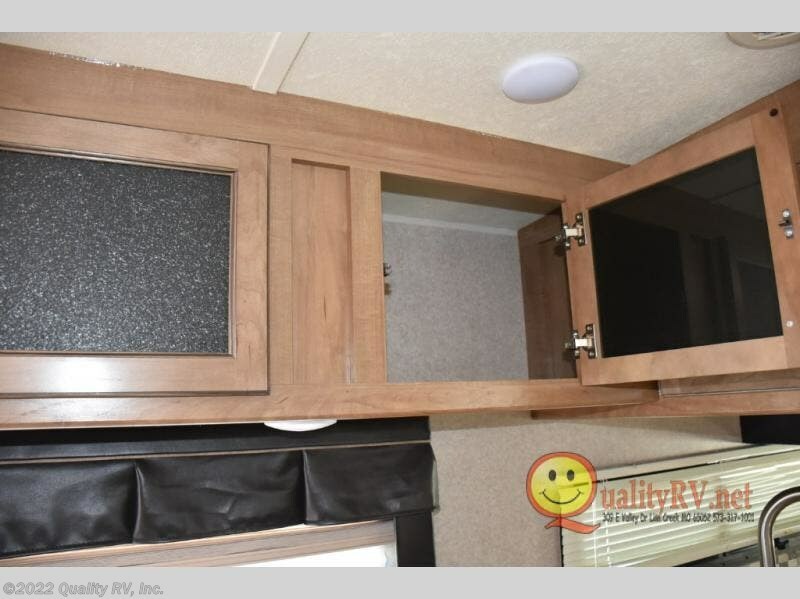 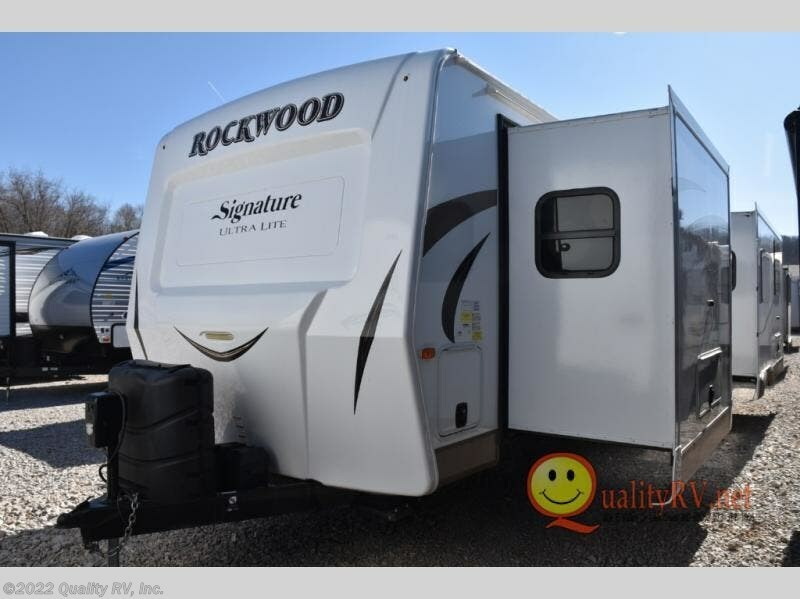 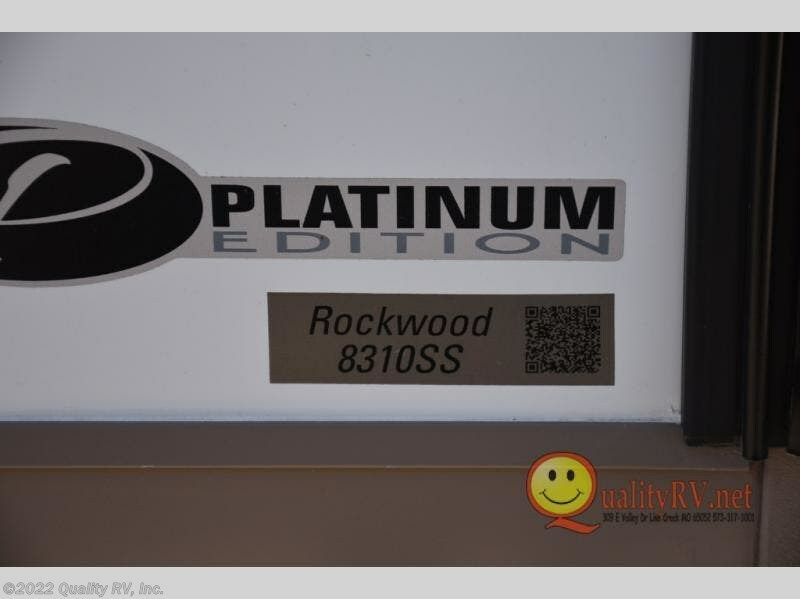 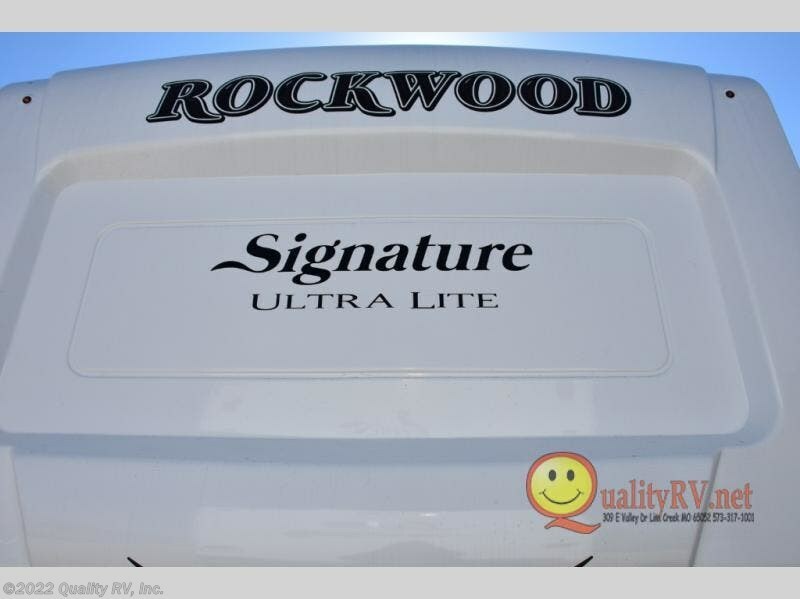 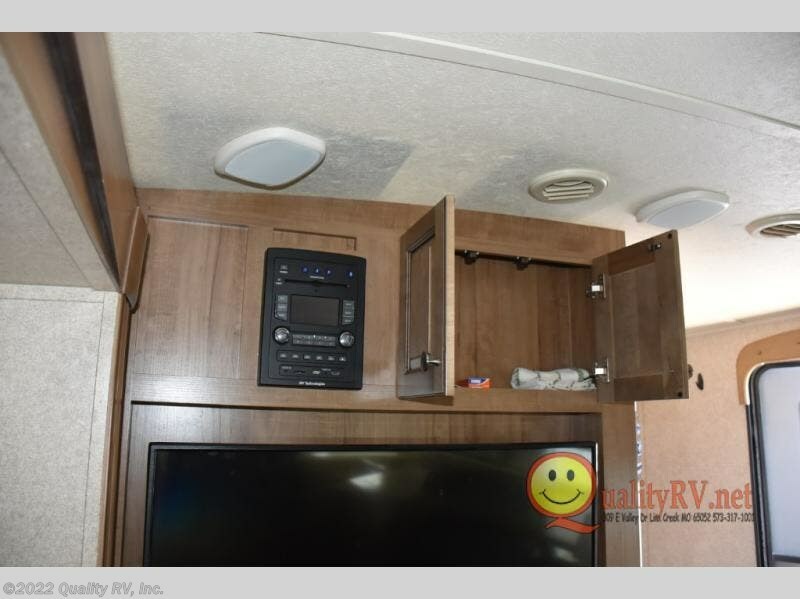 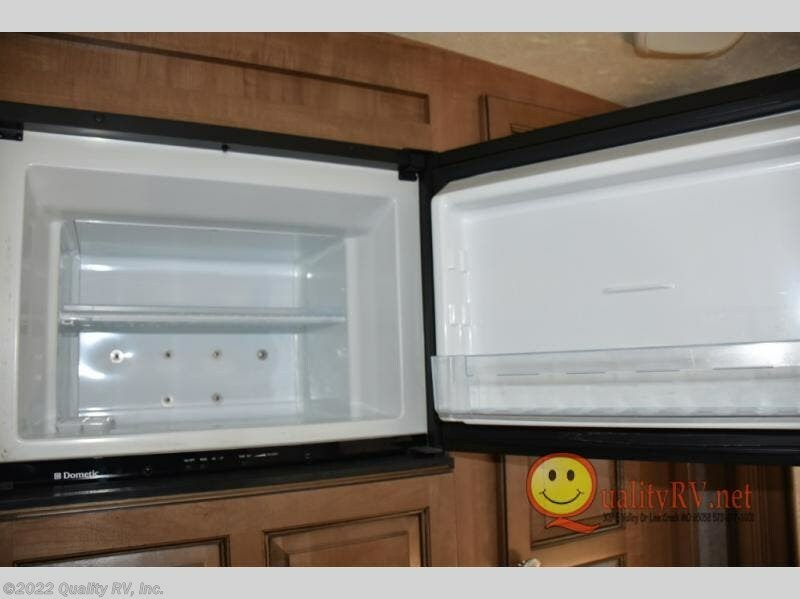 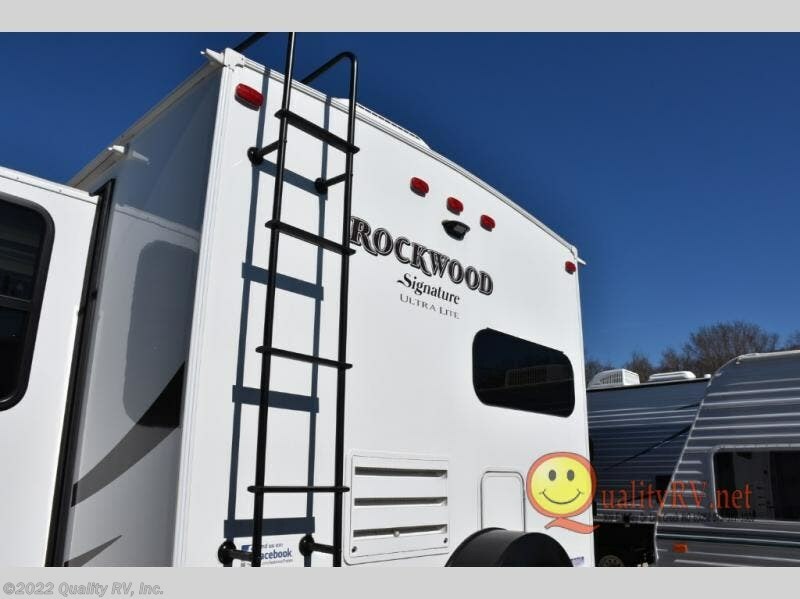 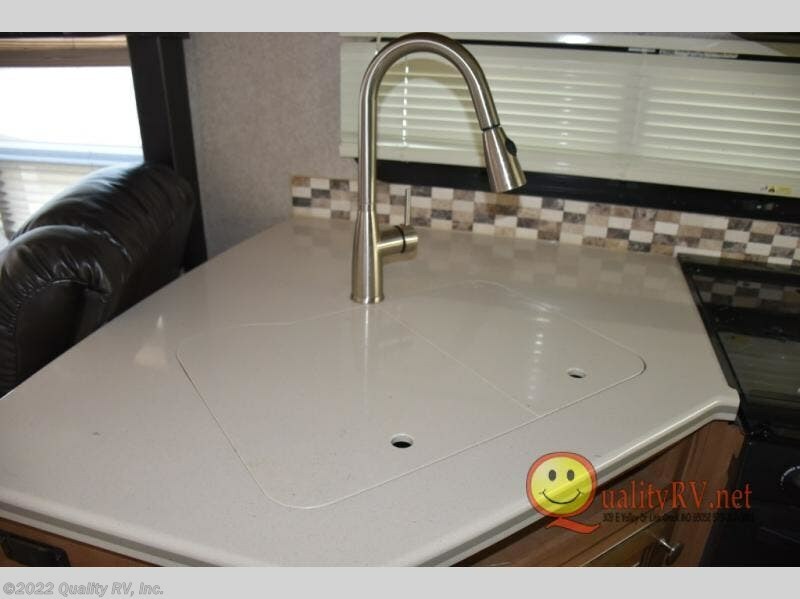 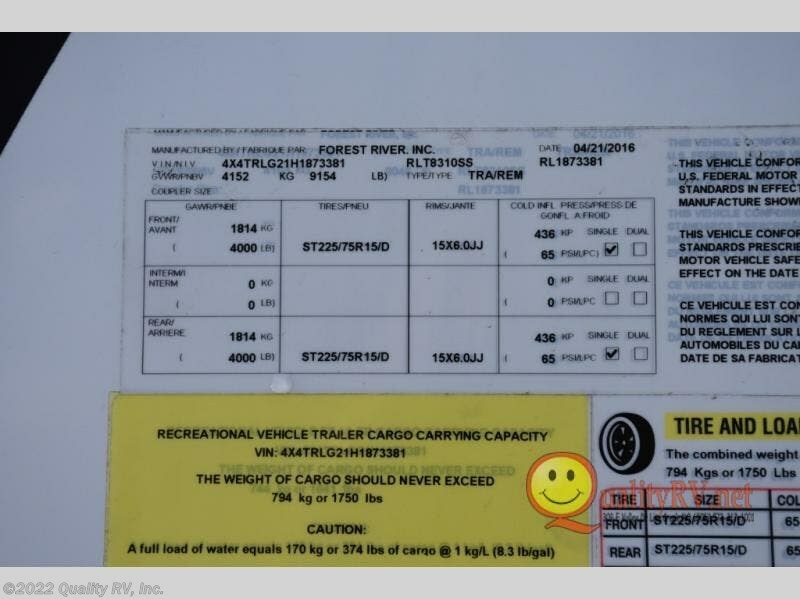 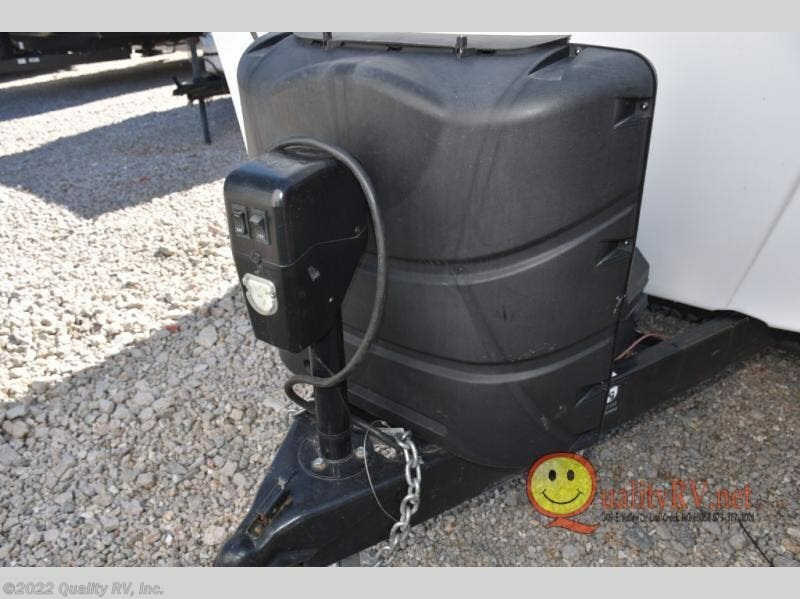 Check out Stock # H1873381 - 2017 Forest River Rockwood Signature Ultra Lite 8310SS on forestriverrvsource.com!